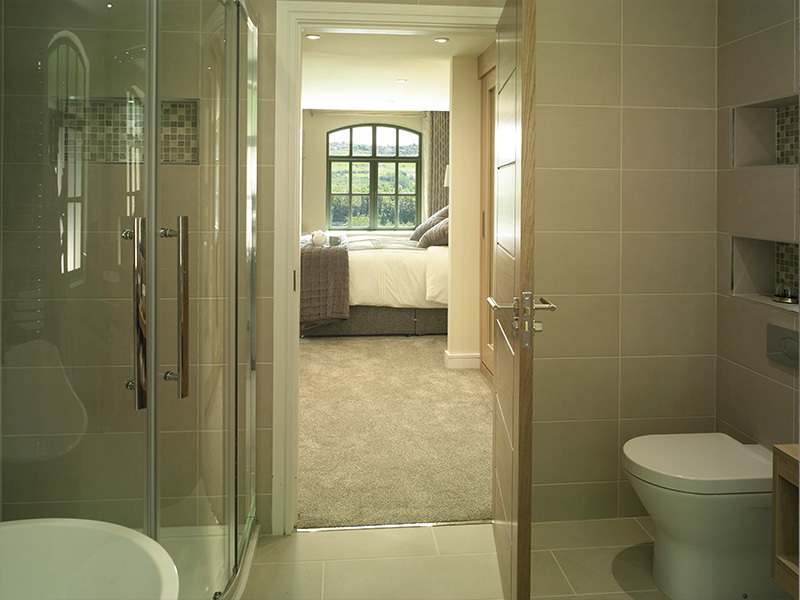 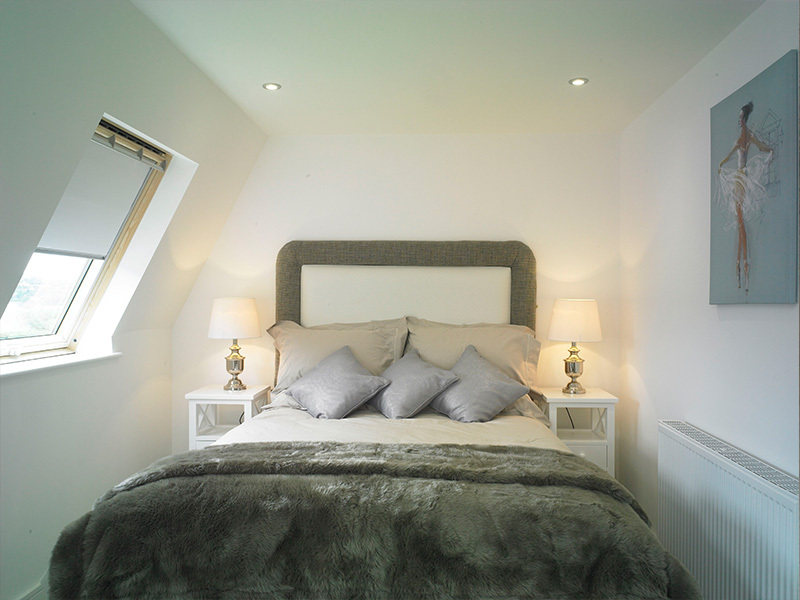 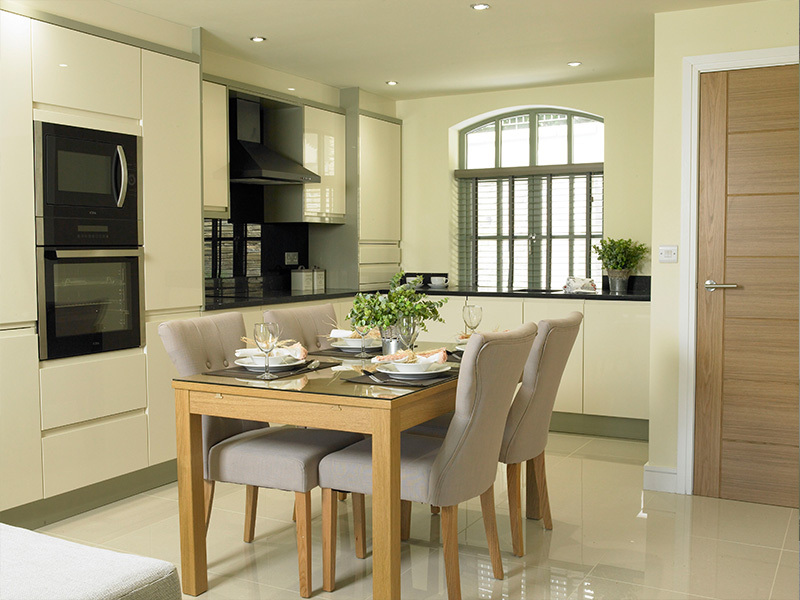 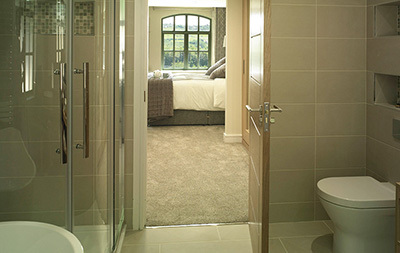 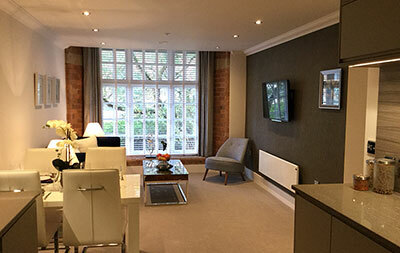 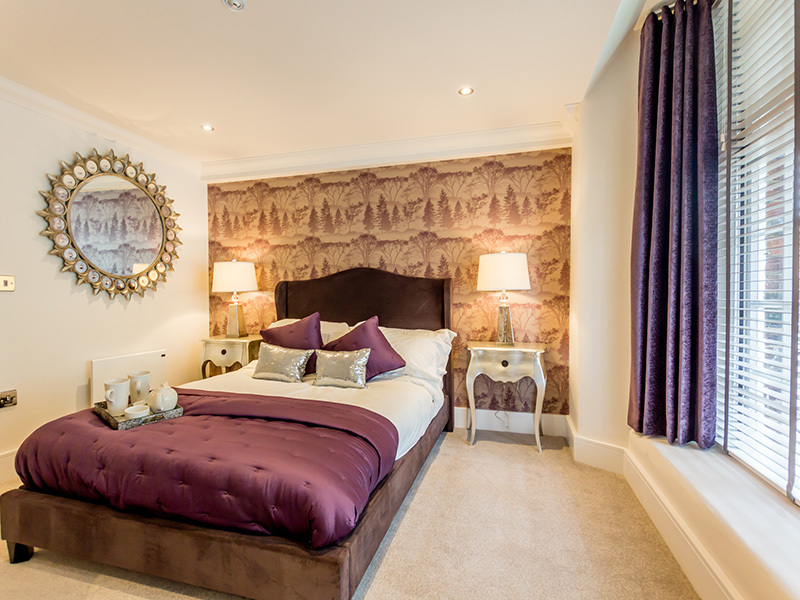 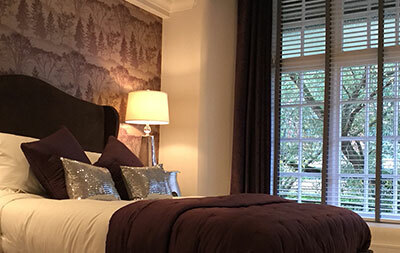 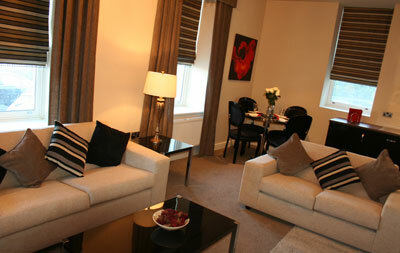 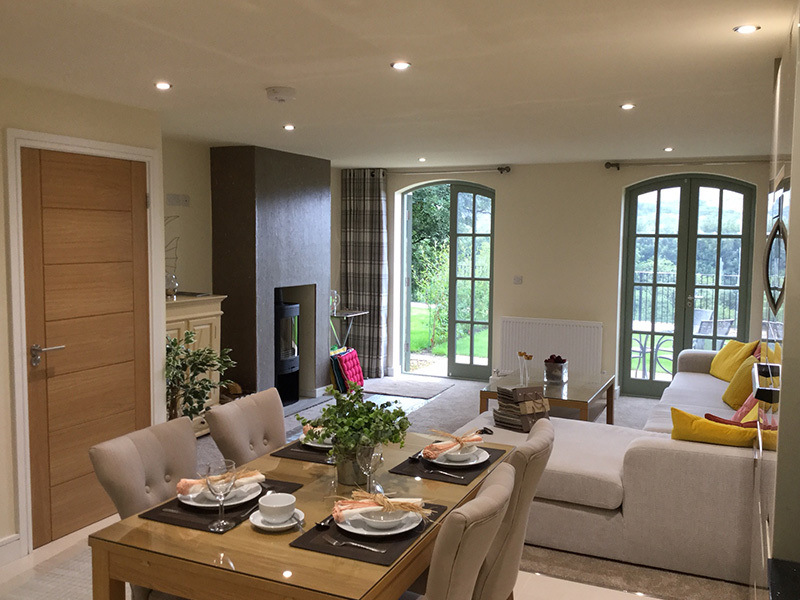 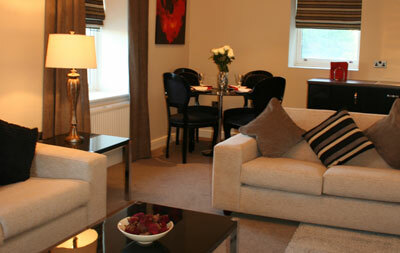 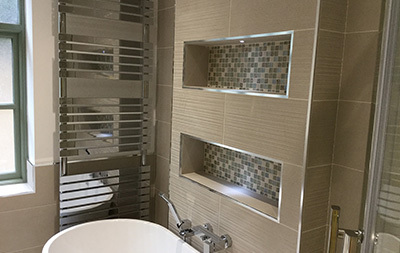 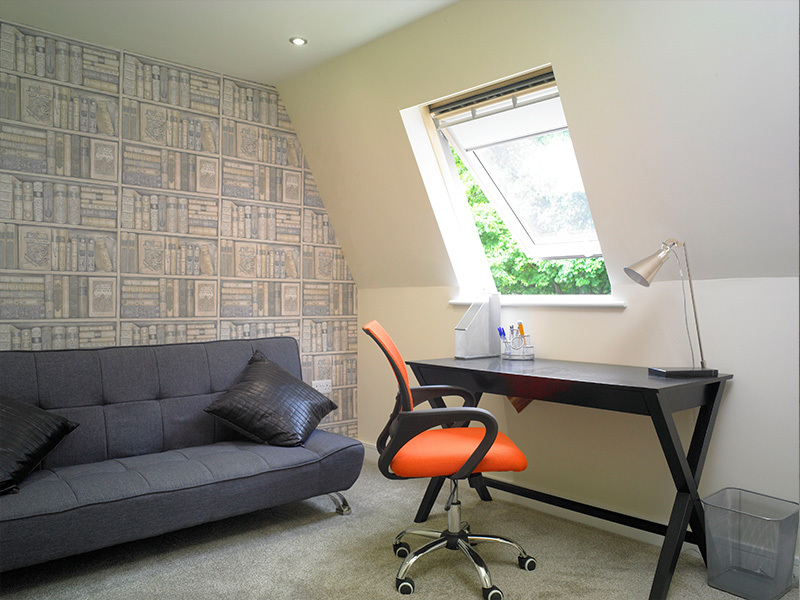 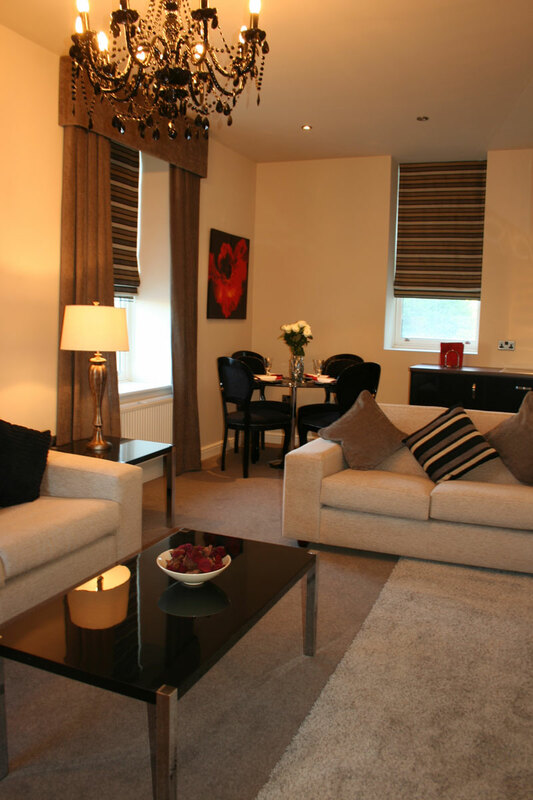 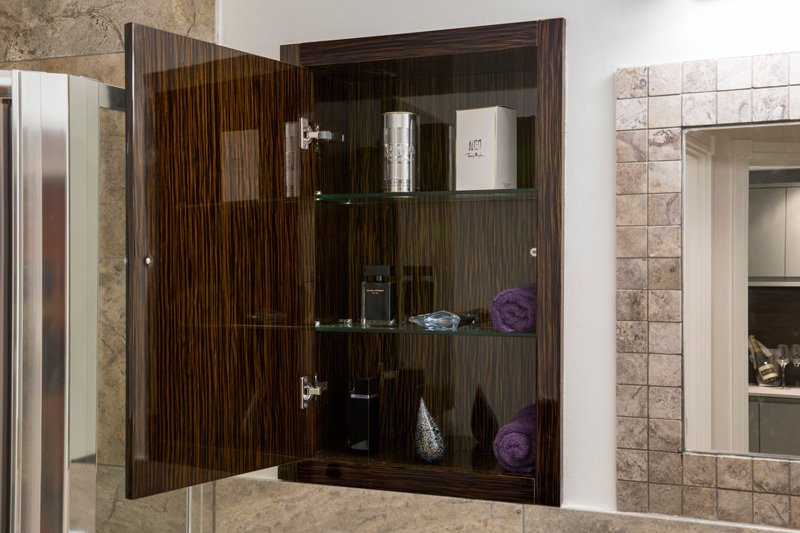 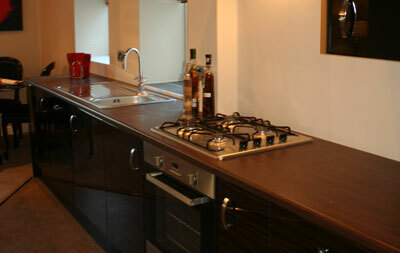 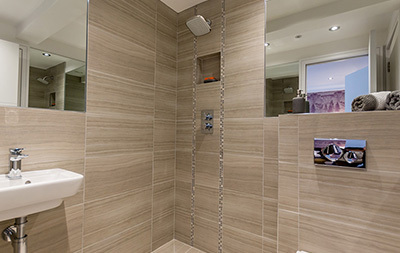 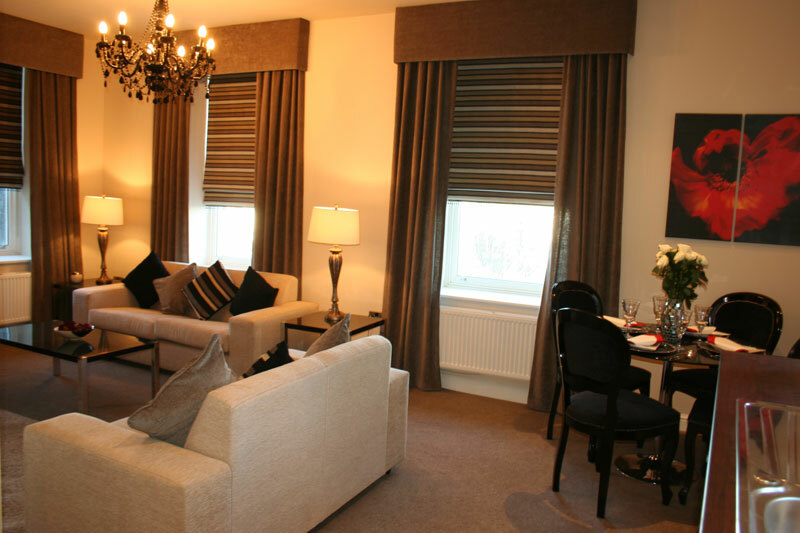 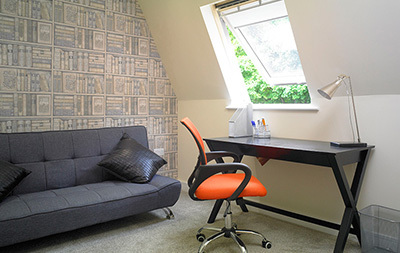 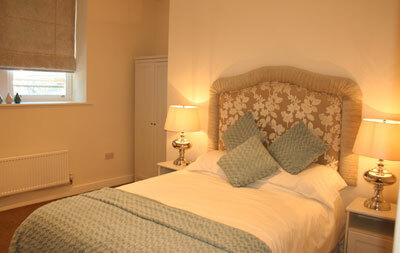 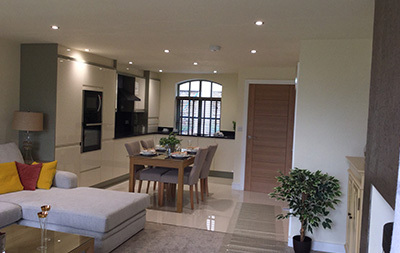 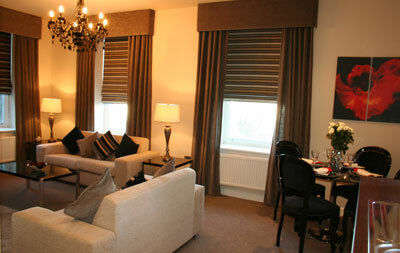 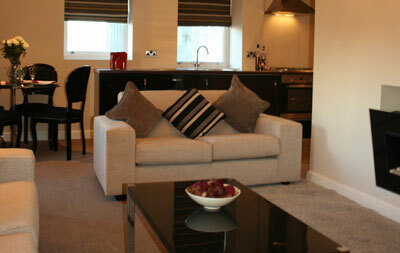 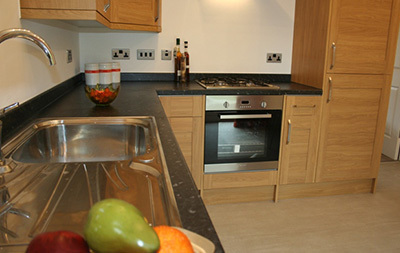 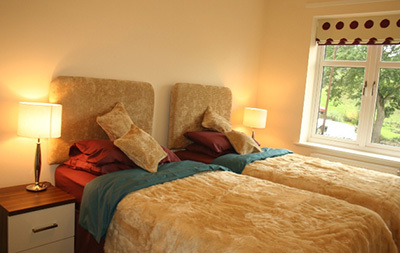 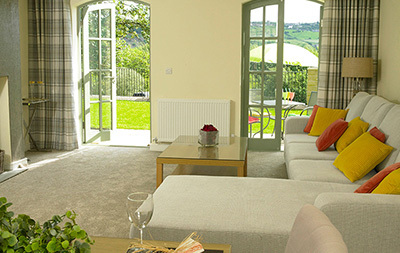 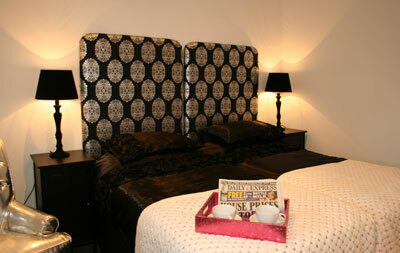 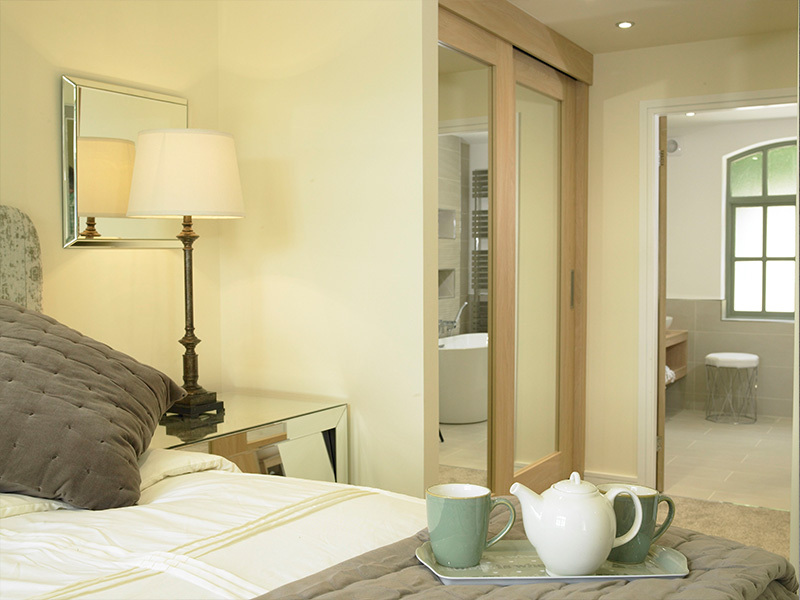 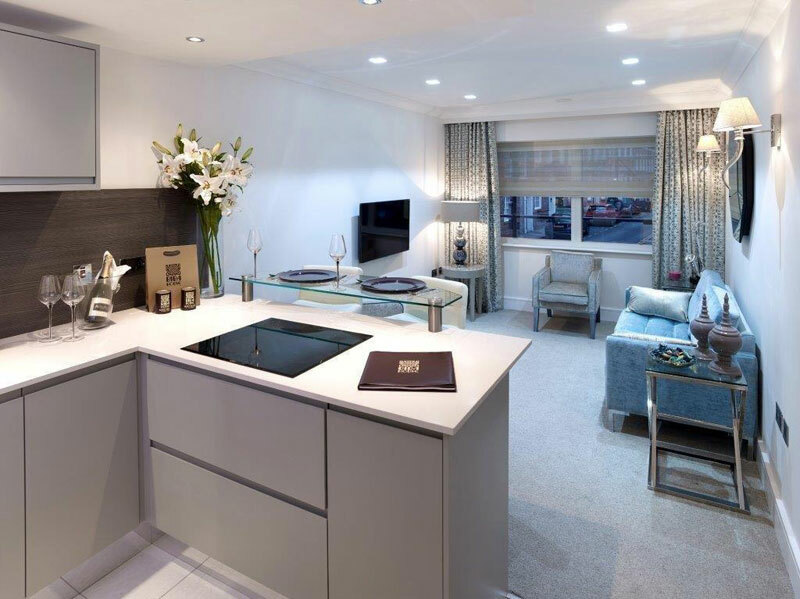 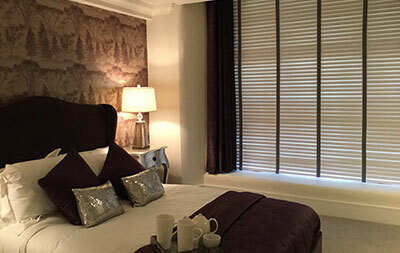 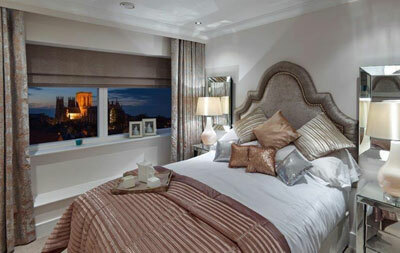 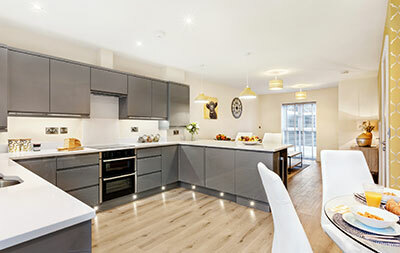 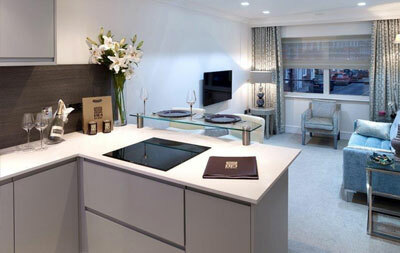 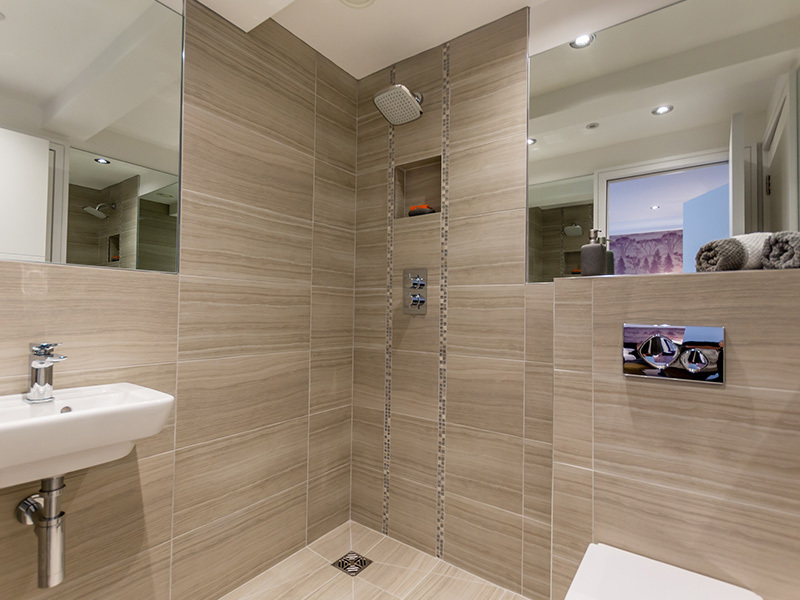 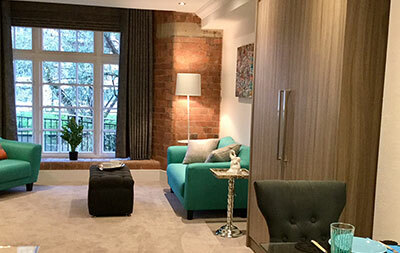 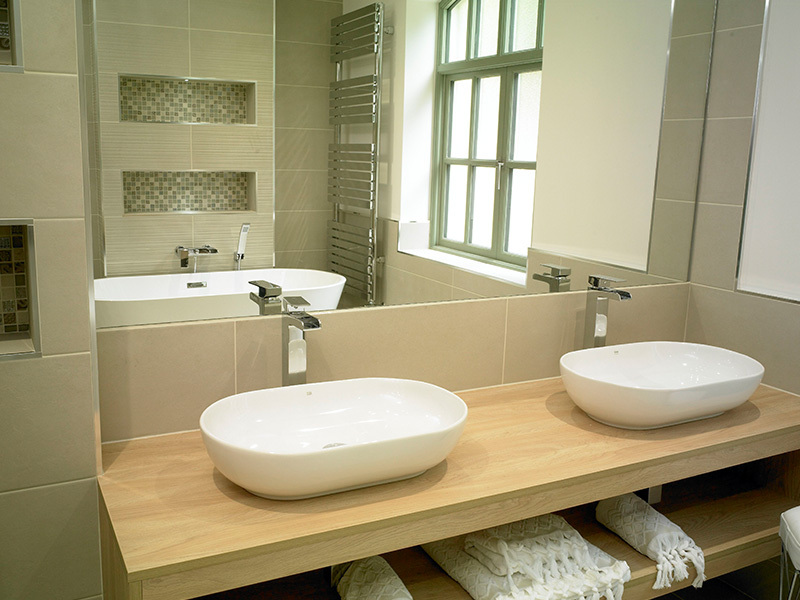 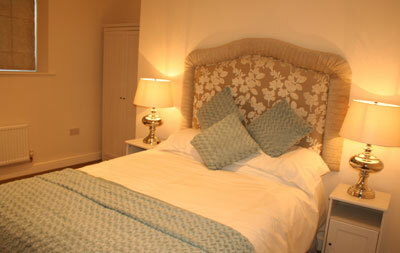 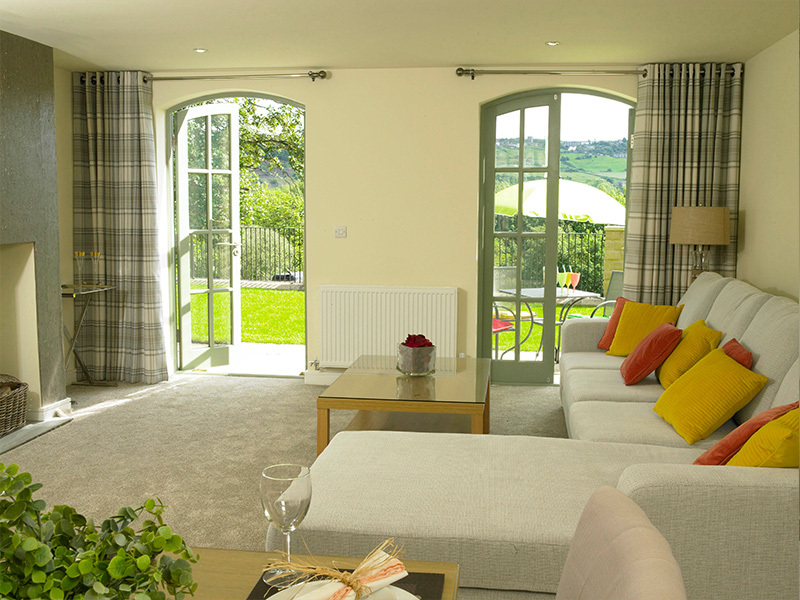 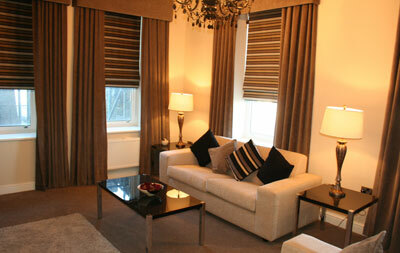 Even when Christine isn’t consulting for a developer she is sometimes commissioned to produce the show home interior. 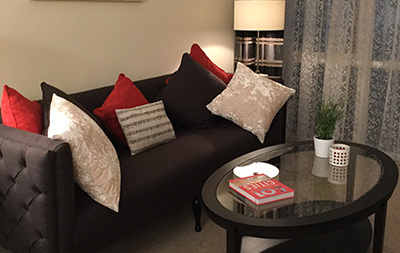 Such is her style that buyers of the showhome almost invariably choose to buy the furnishings as well! 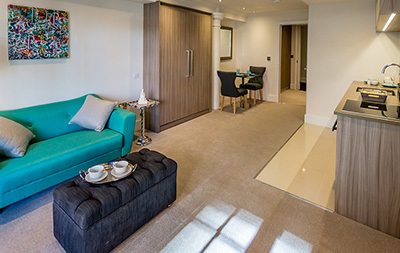 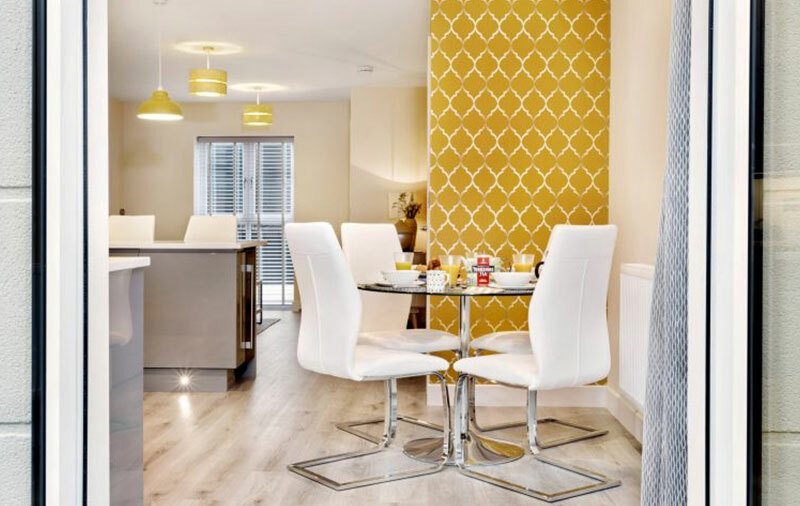 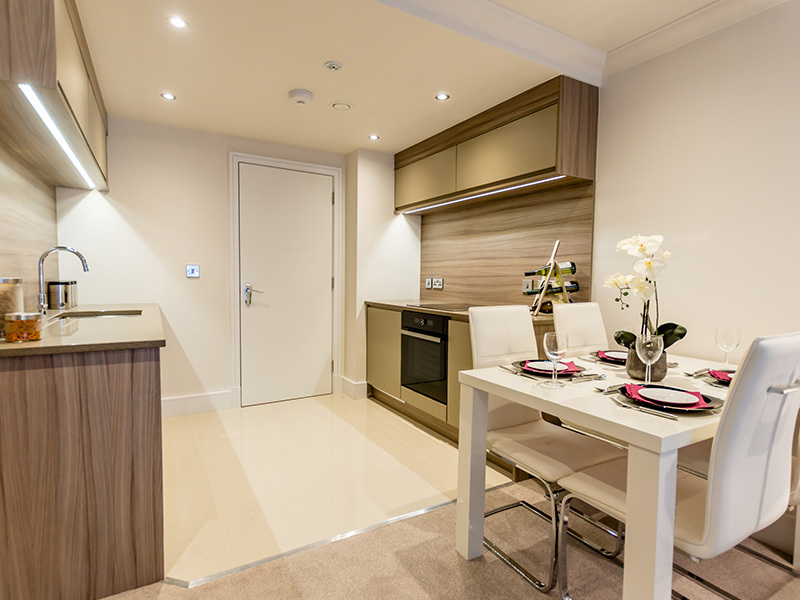 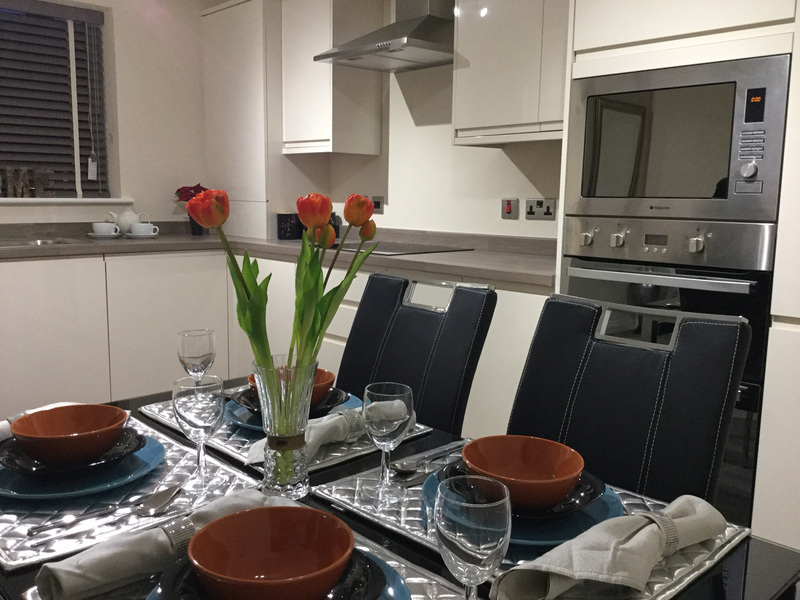 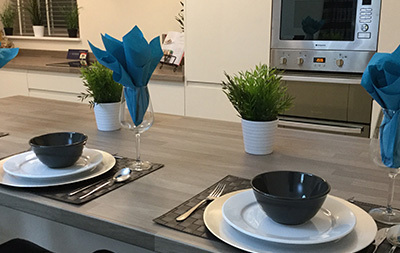 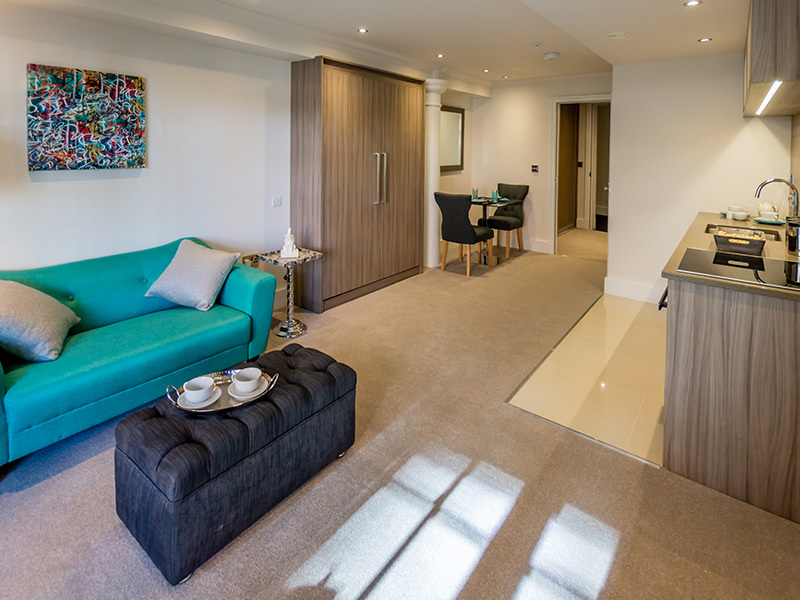 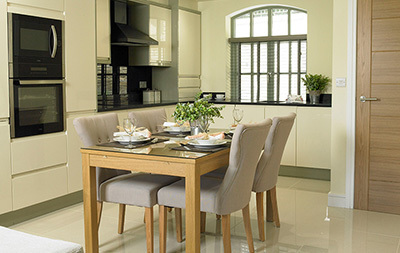 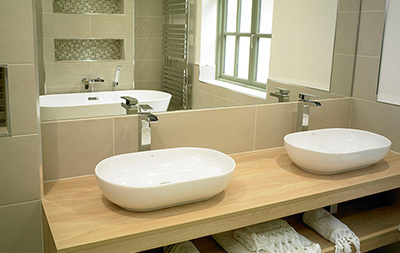 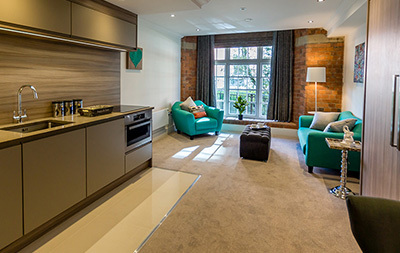 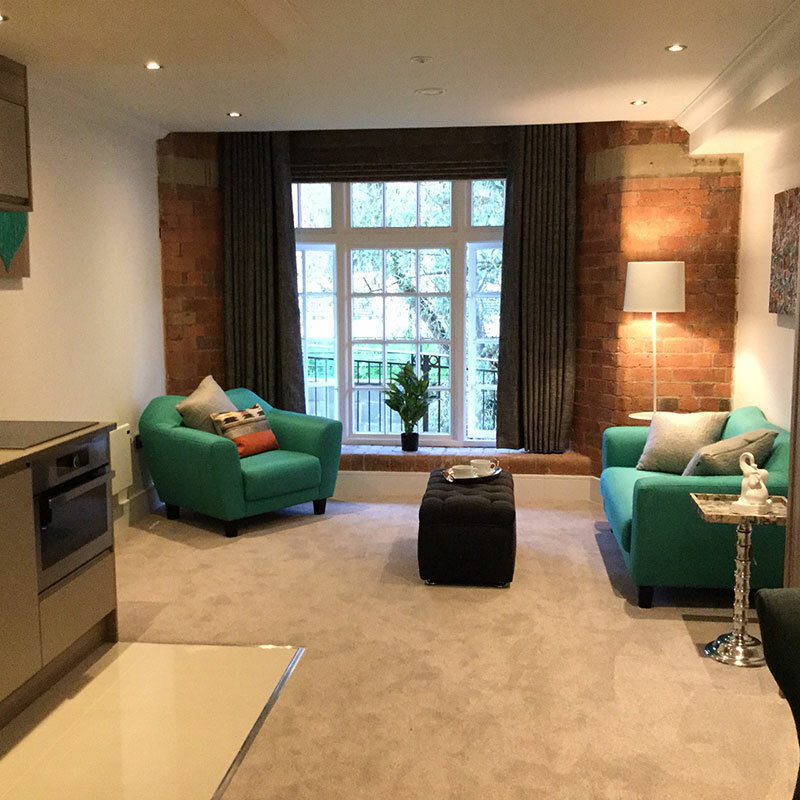 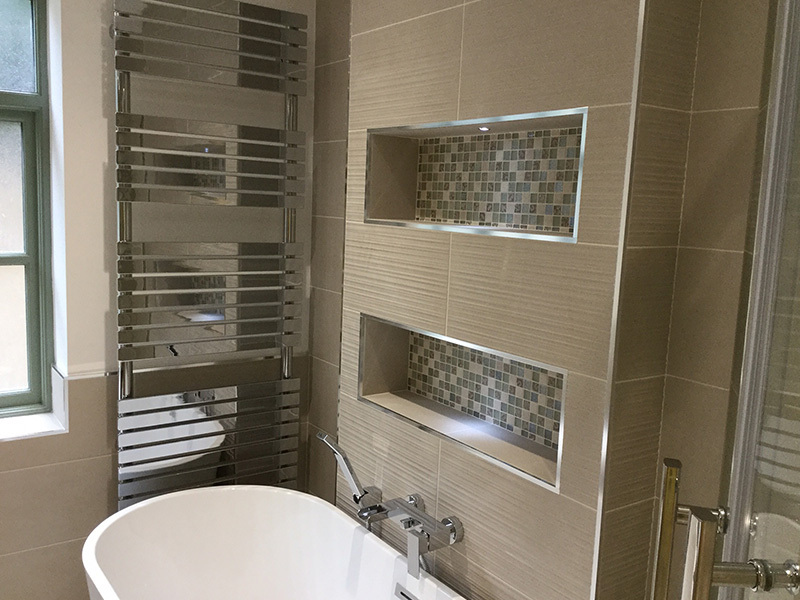 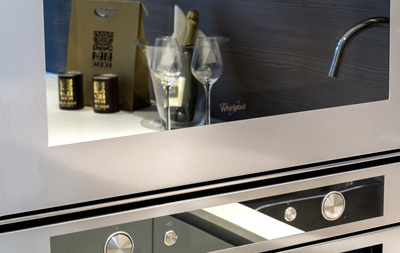 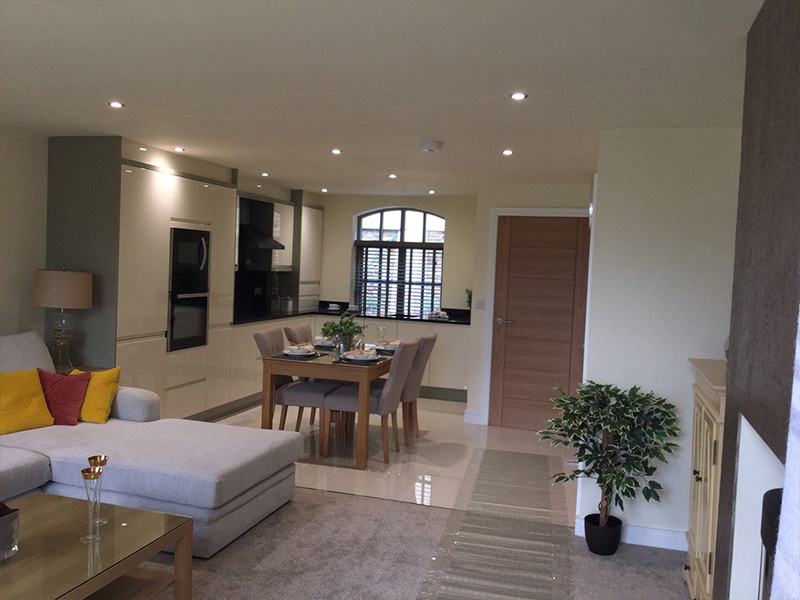 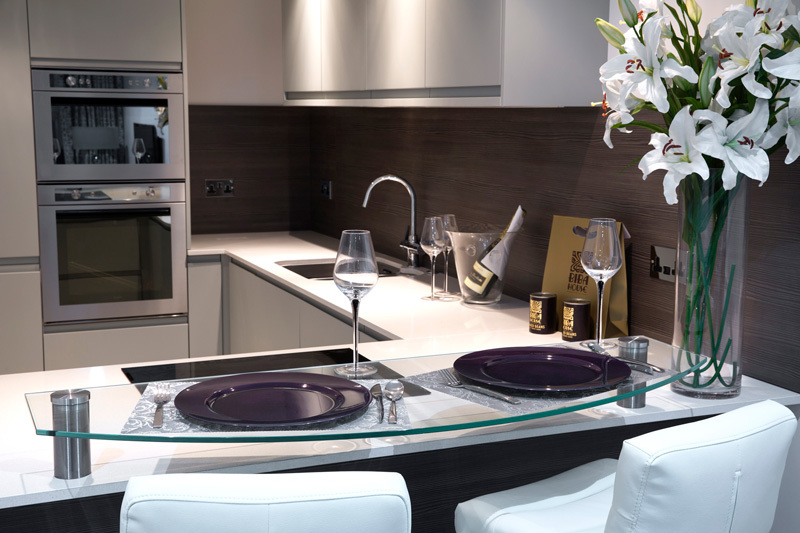 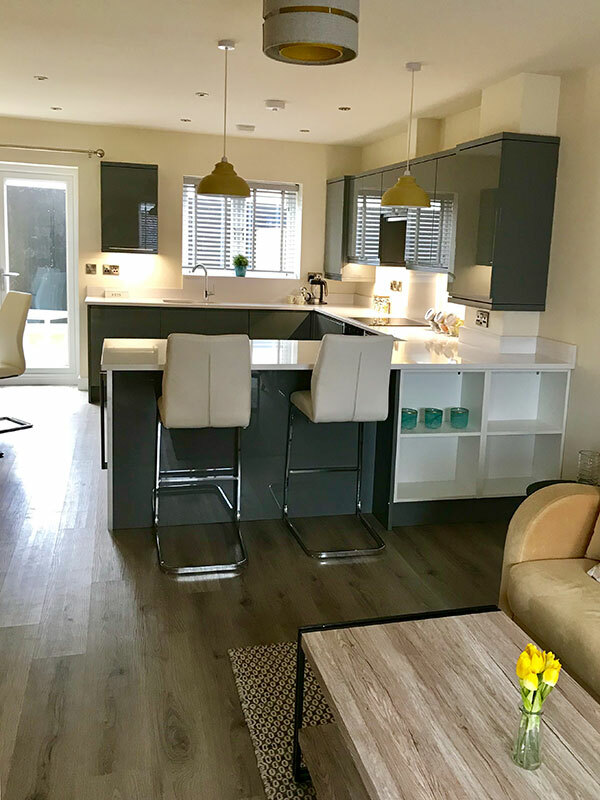 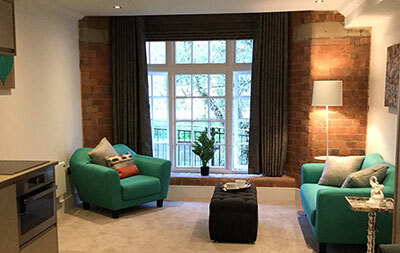 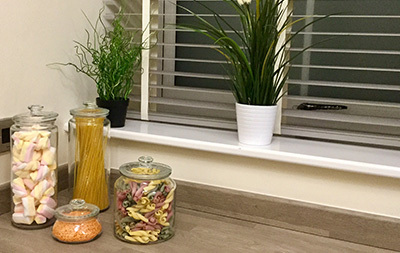 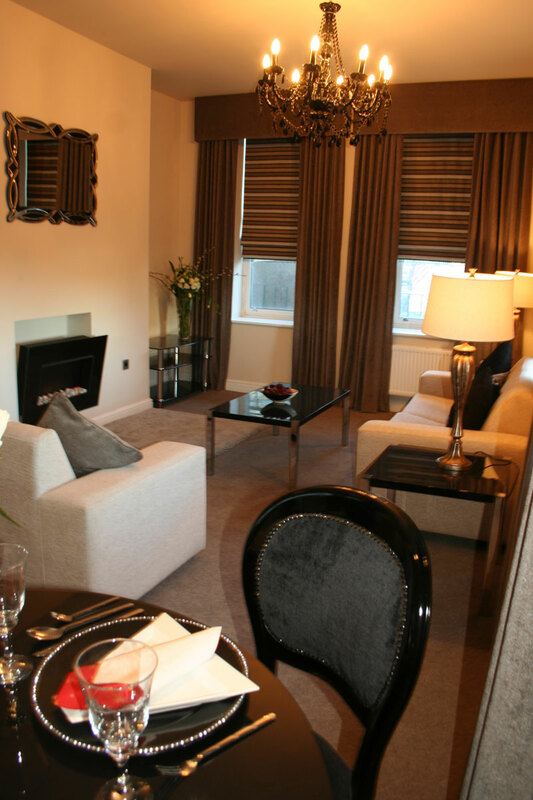 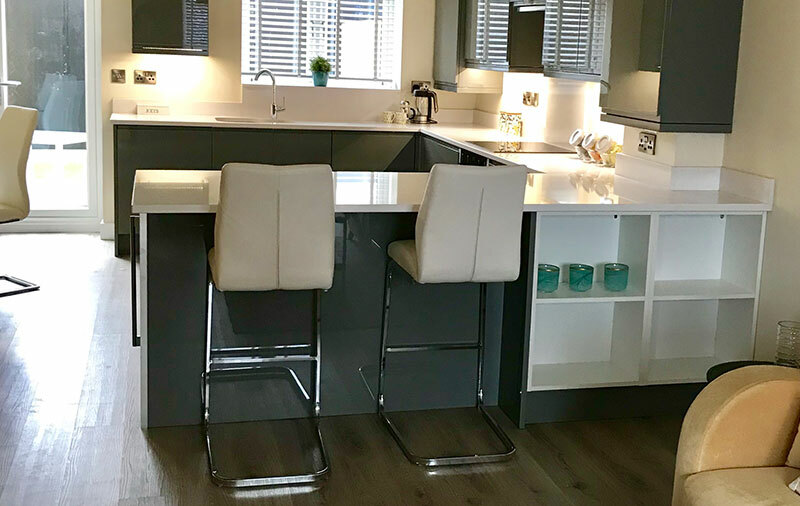 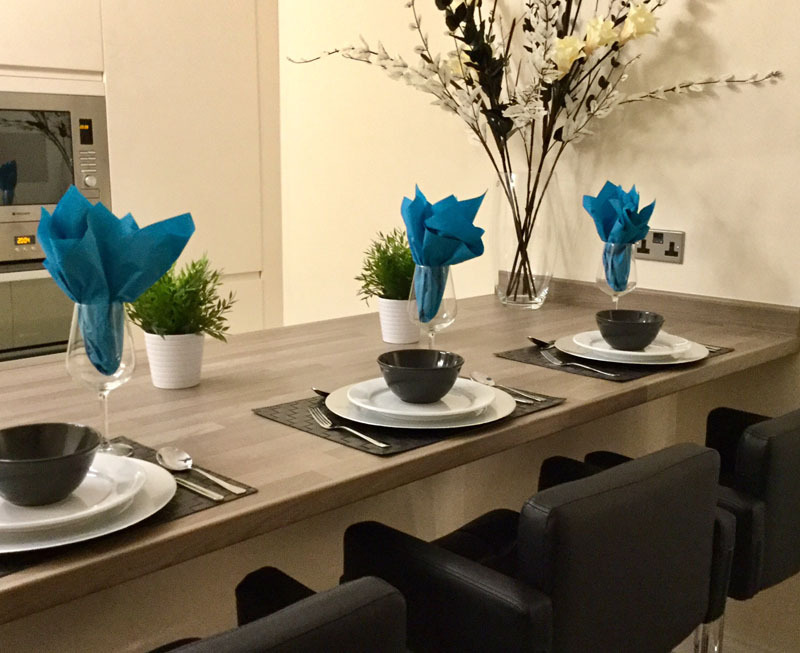 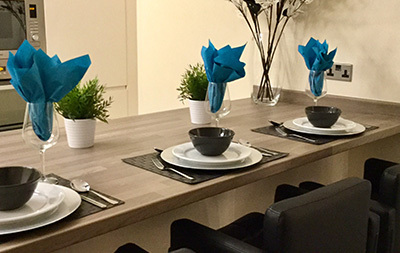 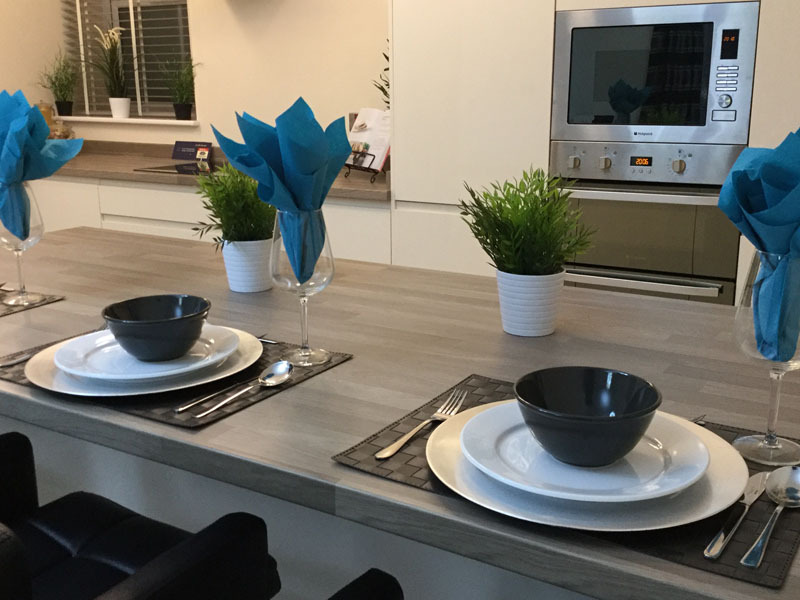 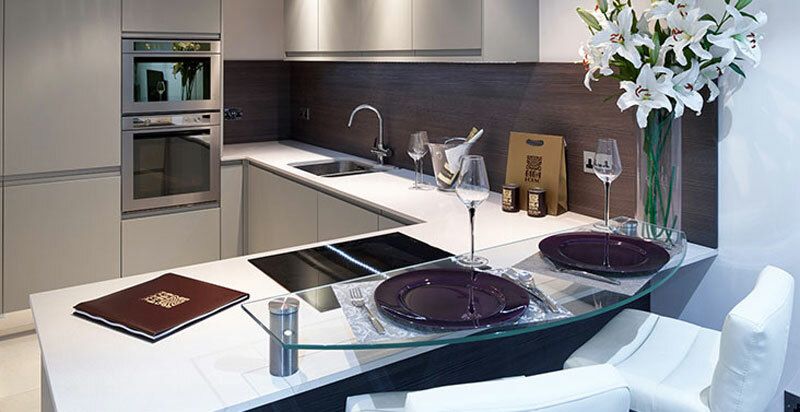 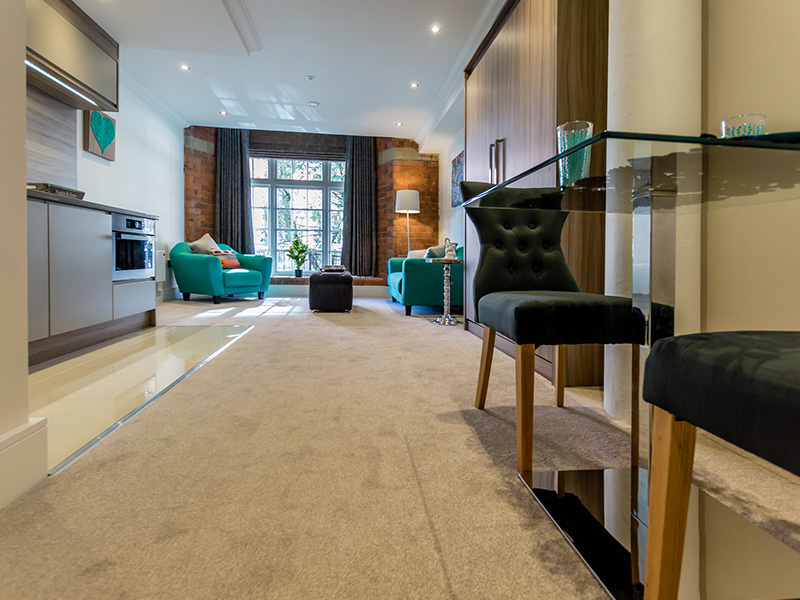 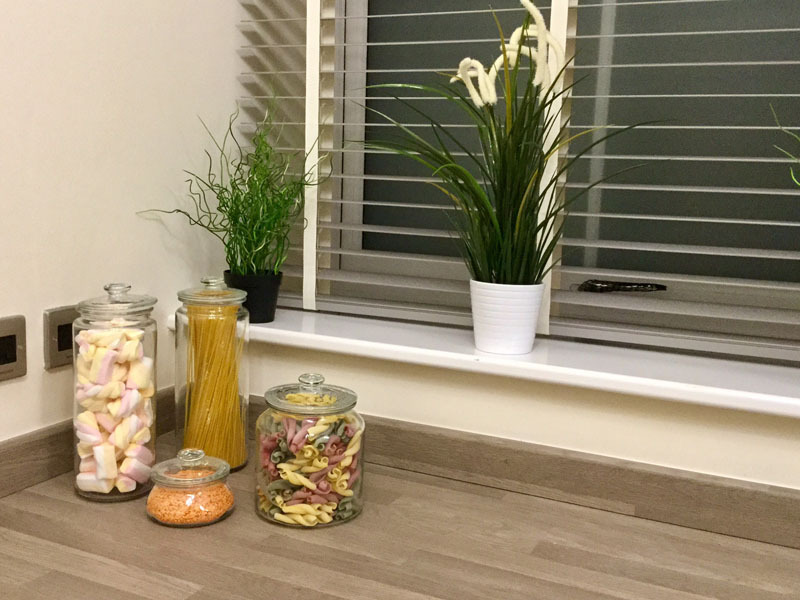 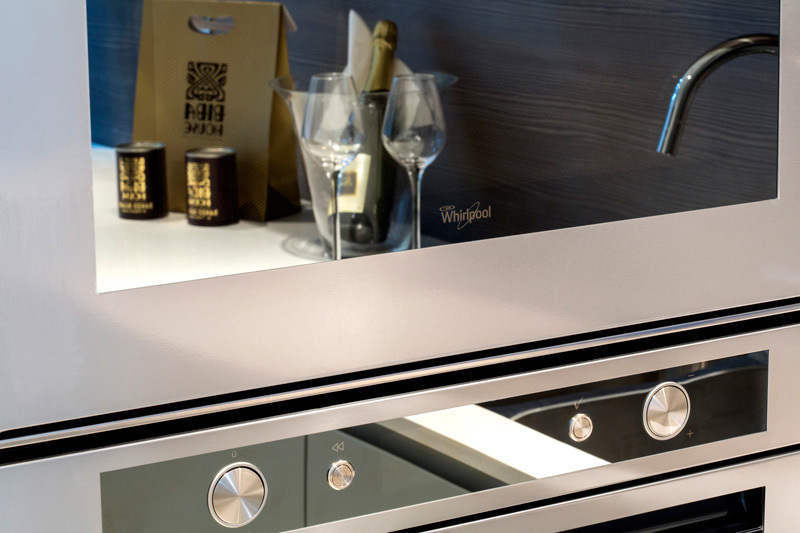 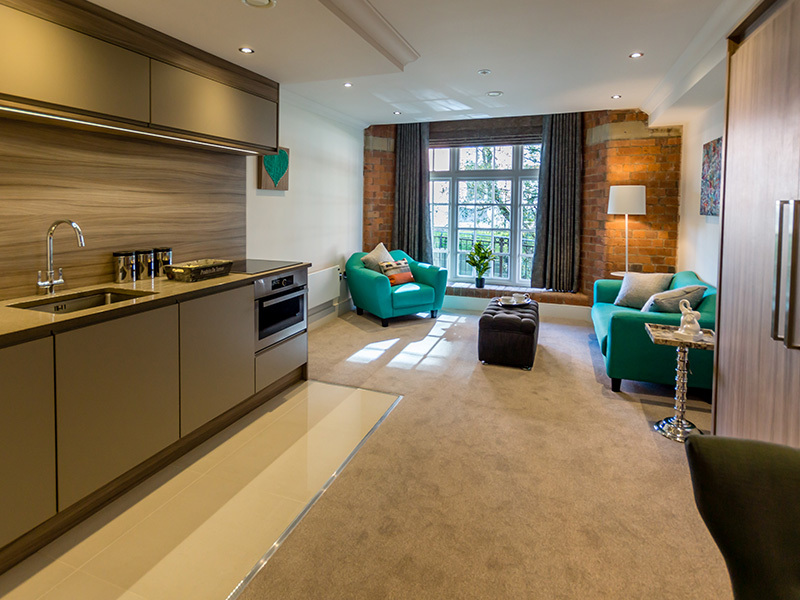 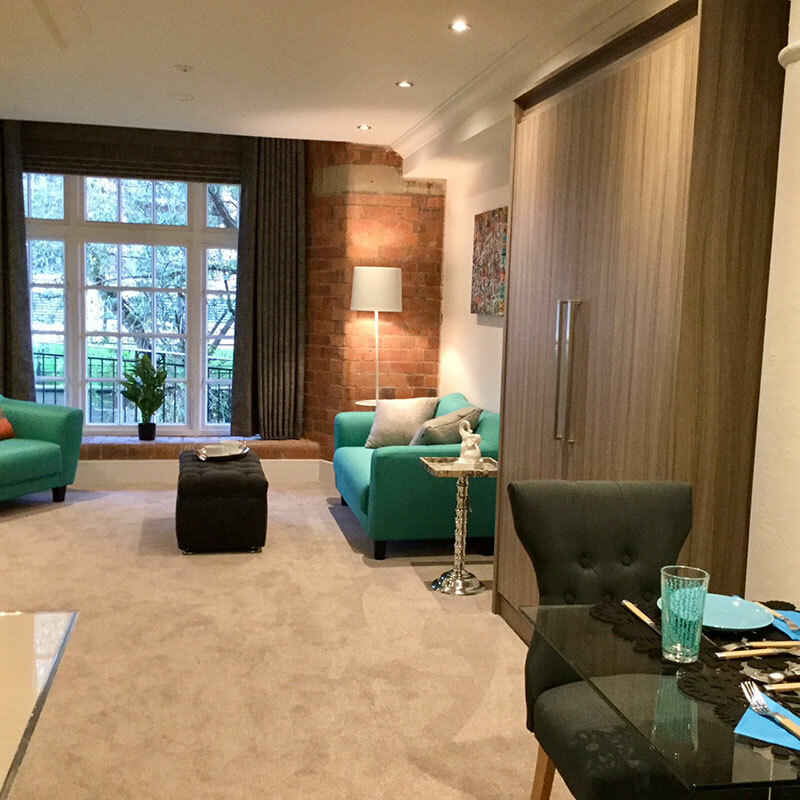 One of the most recent showhomes I have furnished is a one bedroomed apartment at Biba House in York where I have specified all the finishes including kitchens, bathrooms and wardrobes. 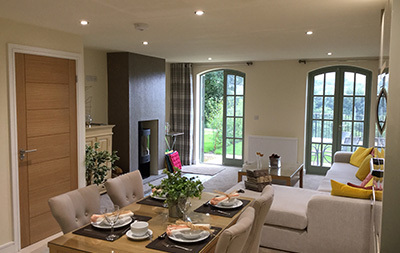 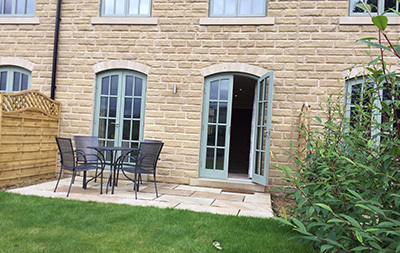 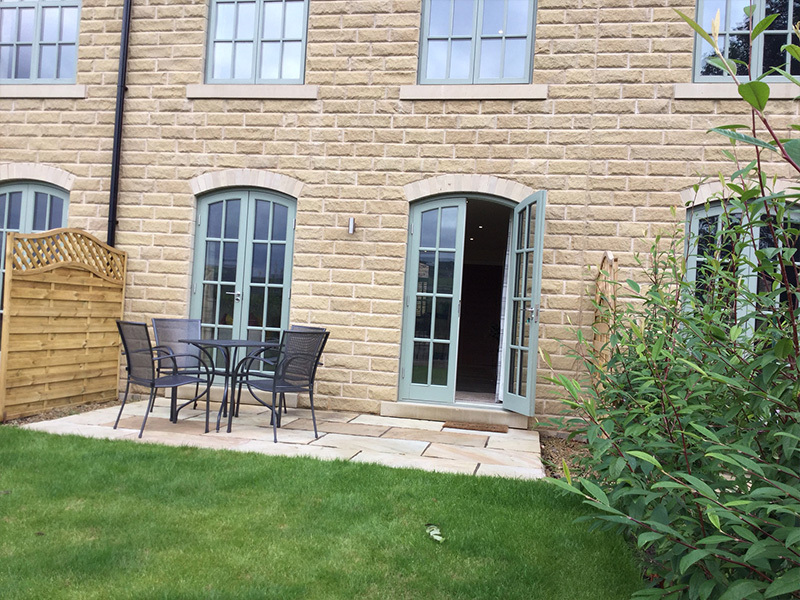 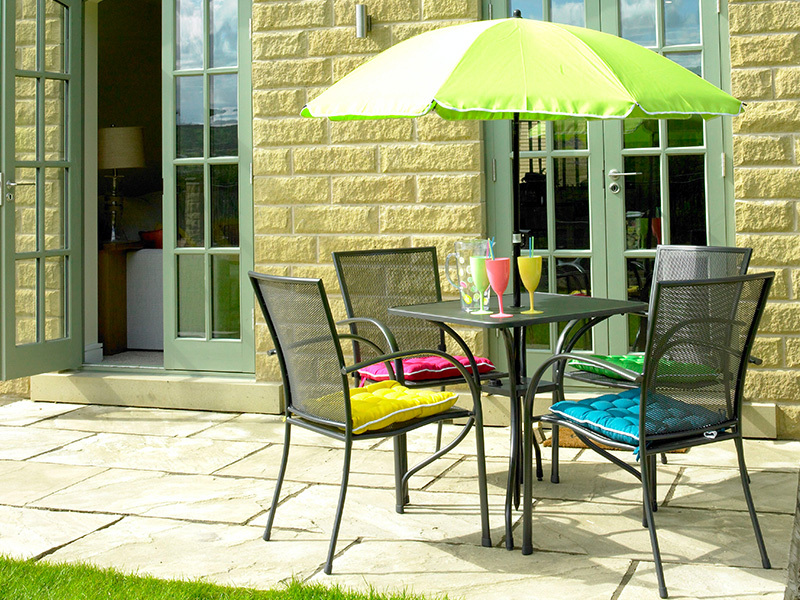 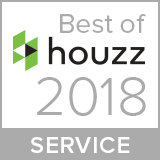 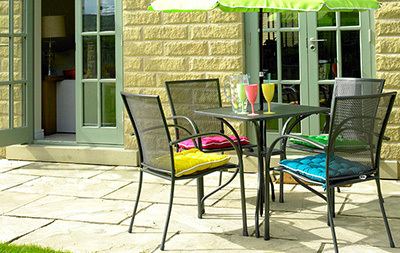 When developing property there is usually a good sense of the demographic of the end user and a showhome must appeal to a wider audience but especially the anticipated occupier. 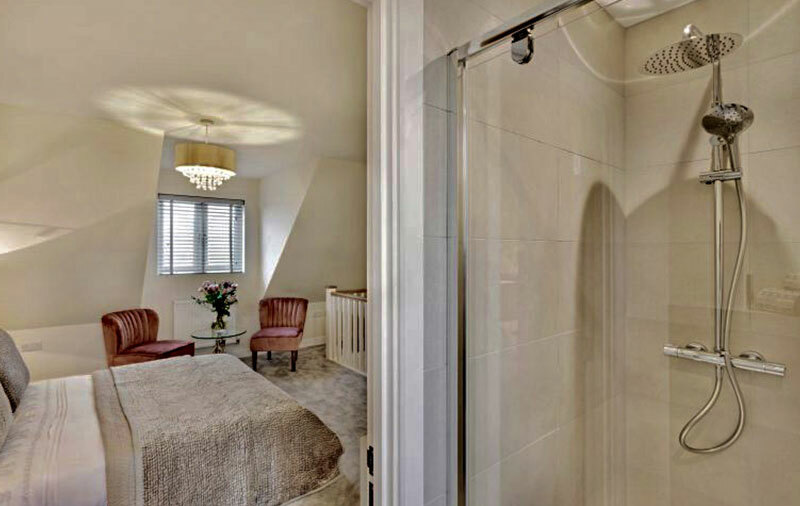 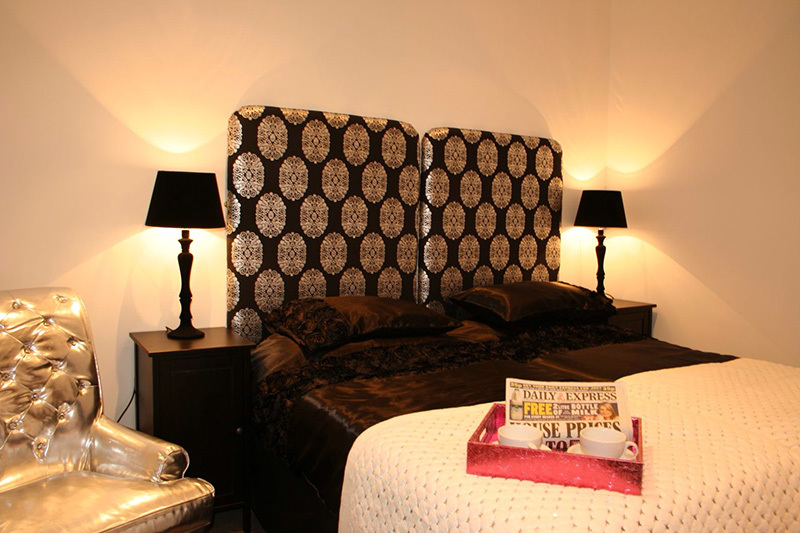 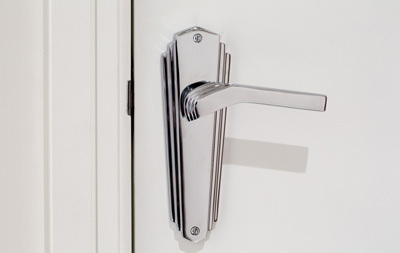 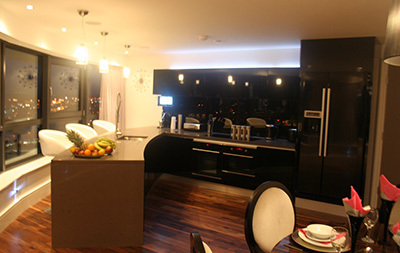 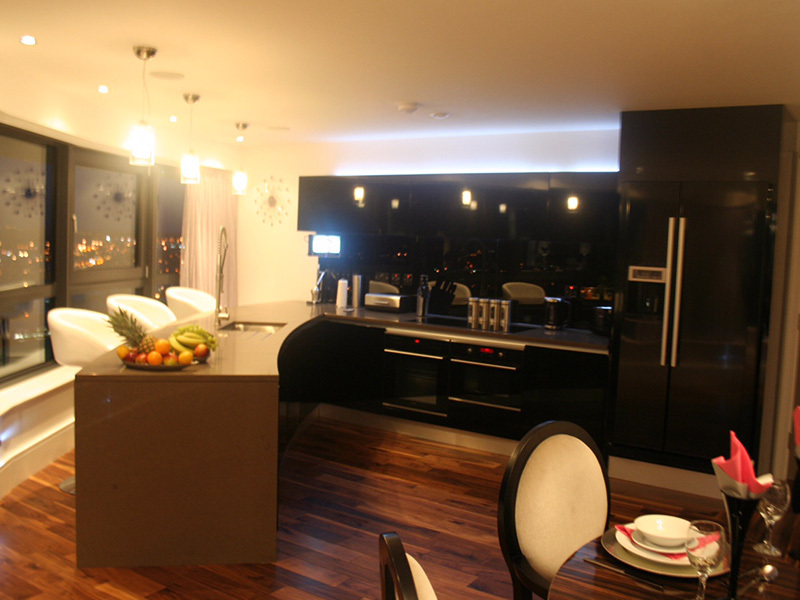 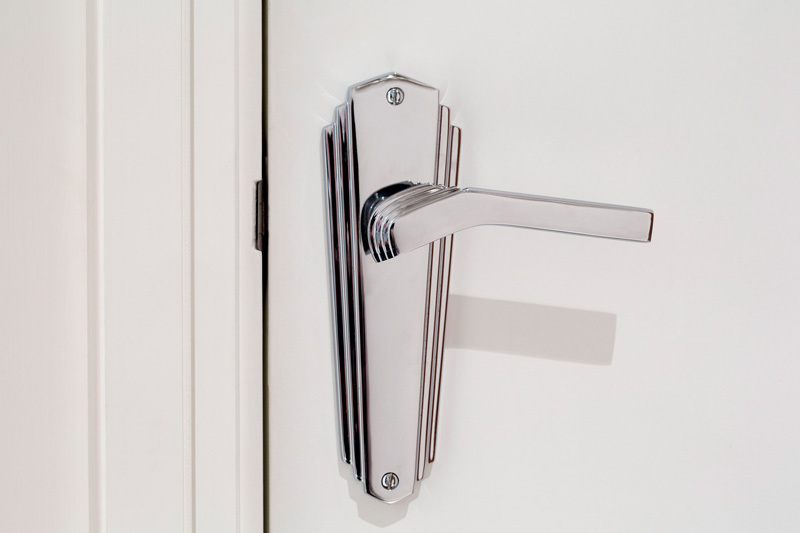 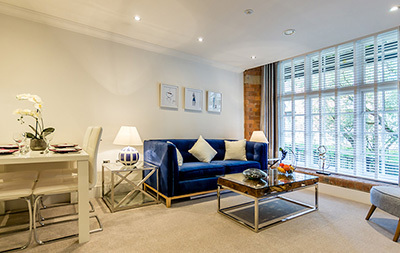 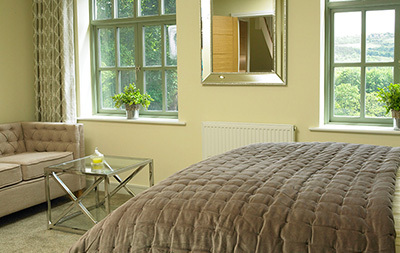 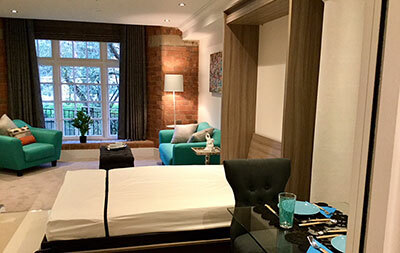 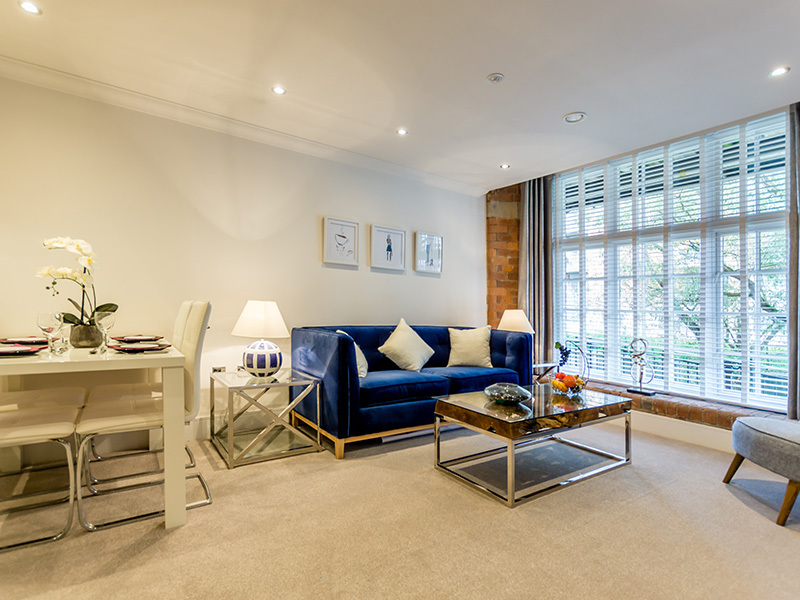 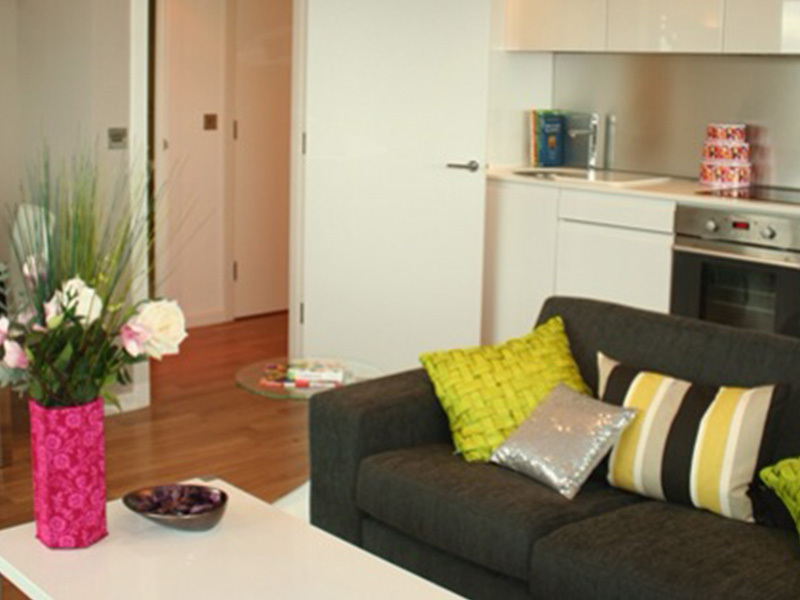 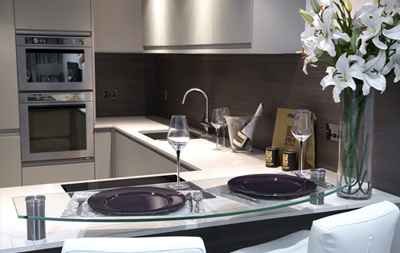 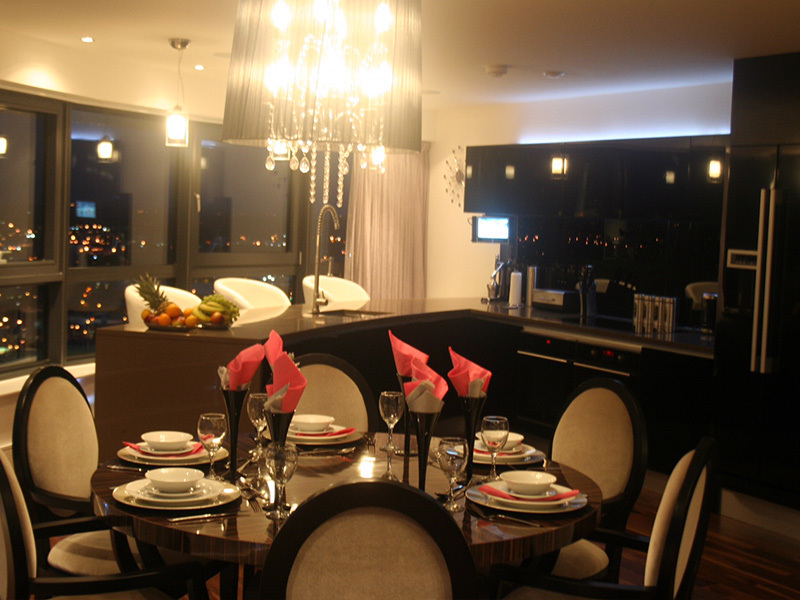 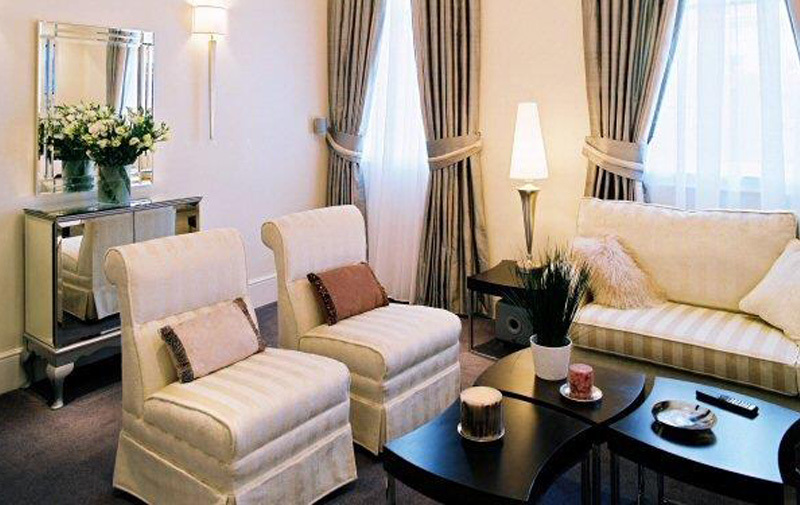 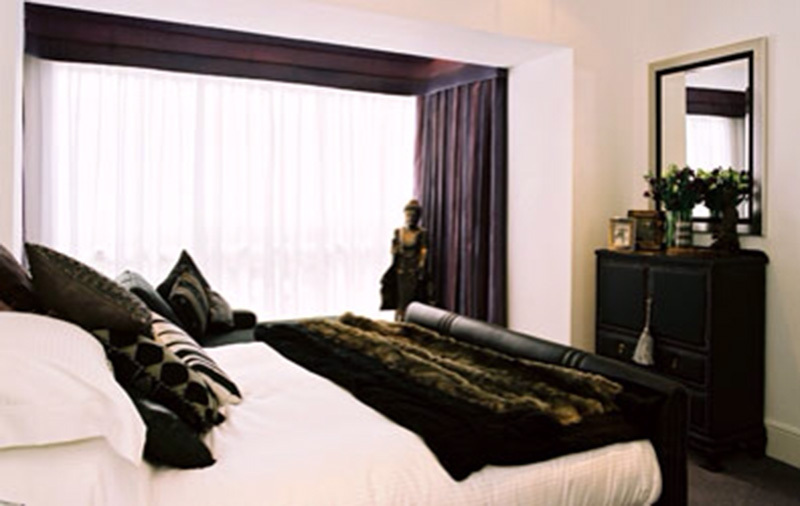 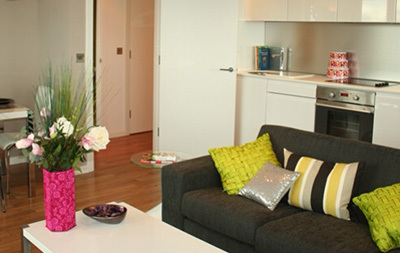 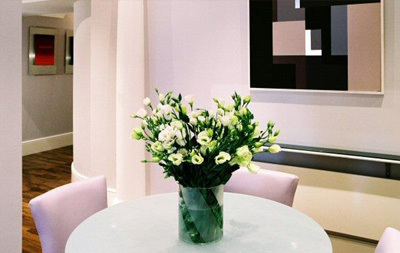 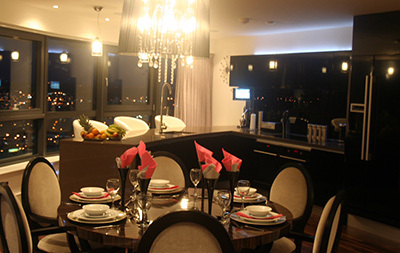 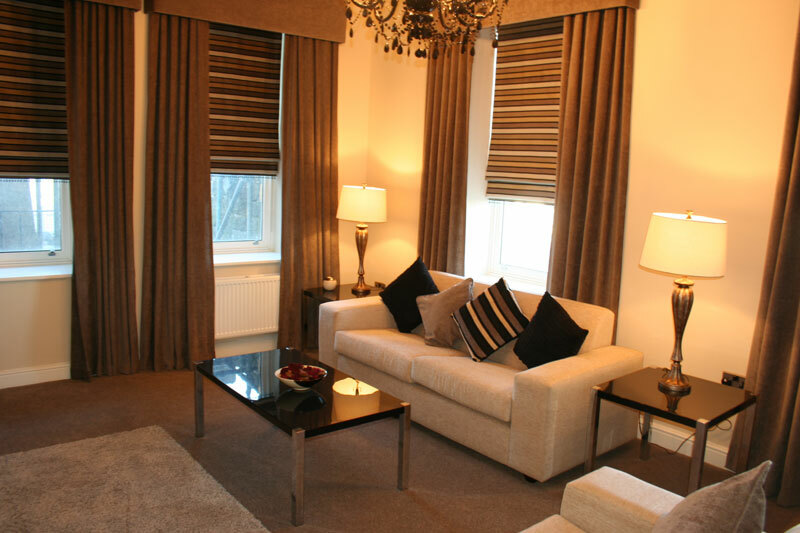 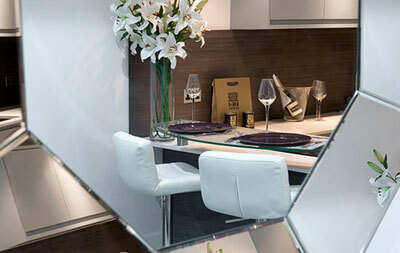 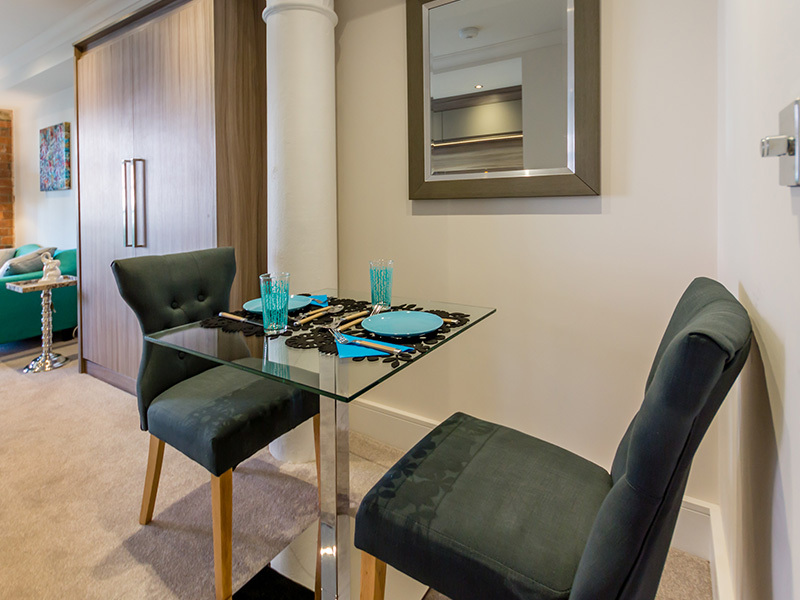 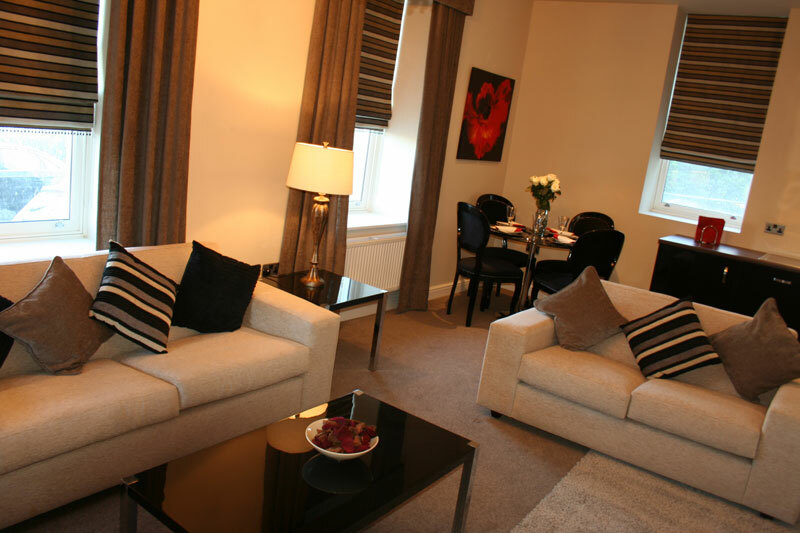 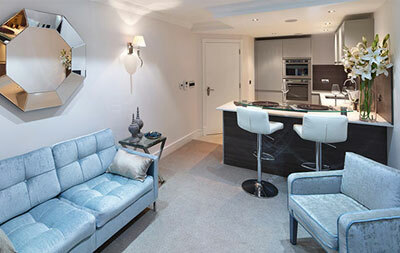 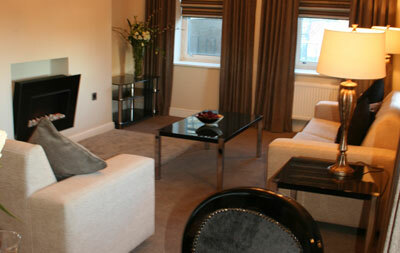 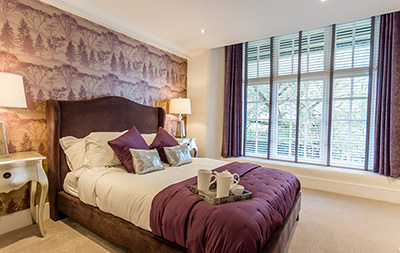 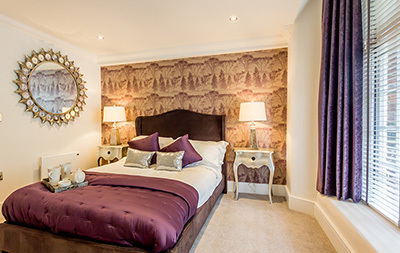 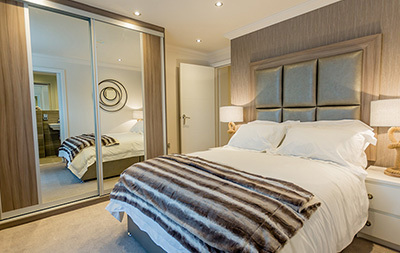 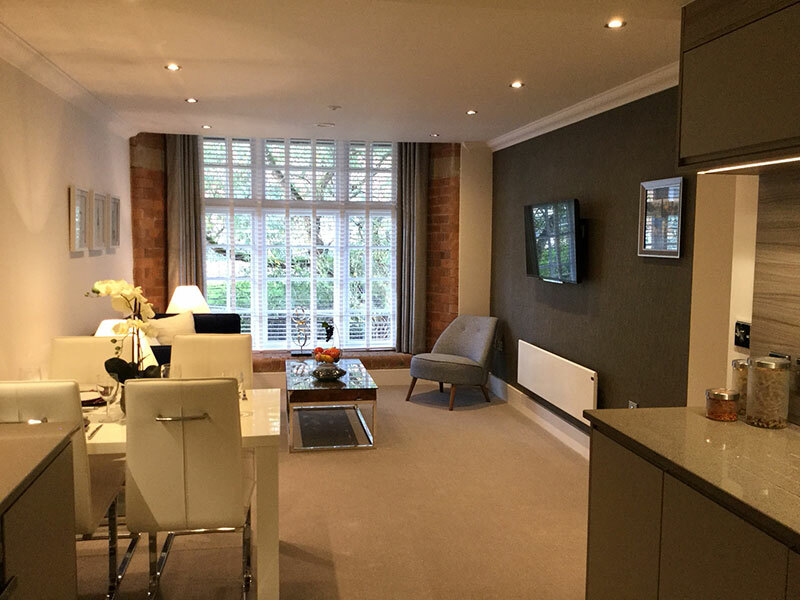 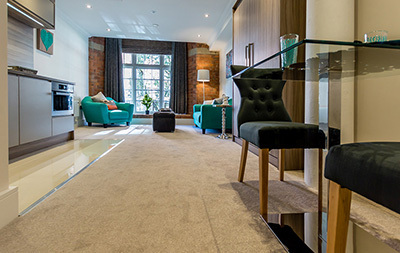 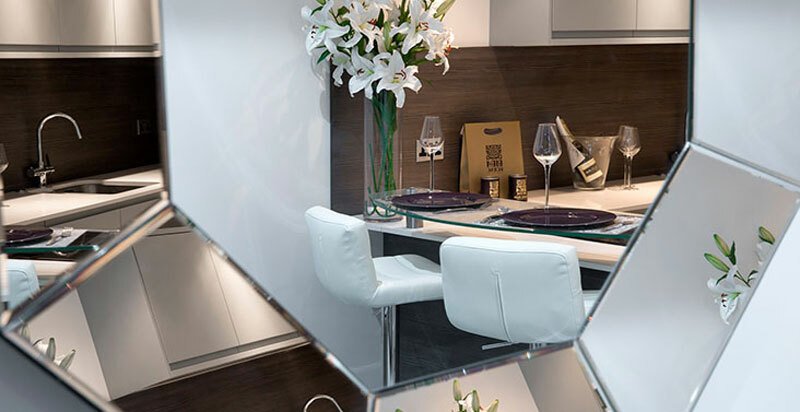 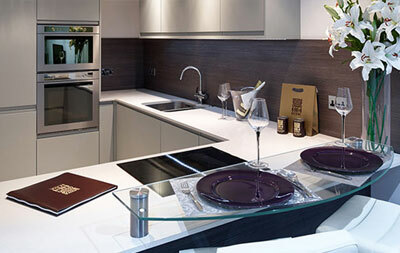 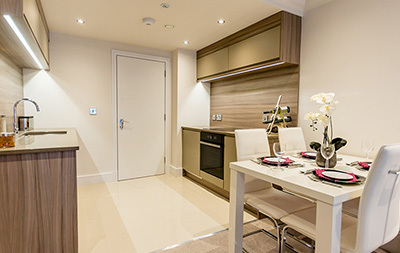 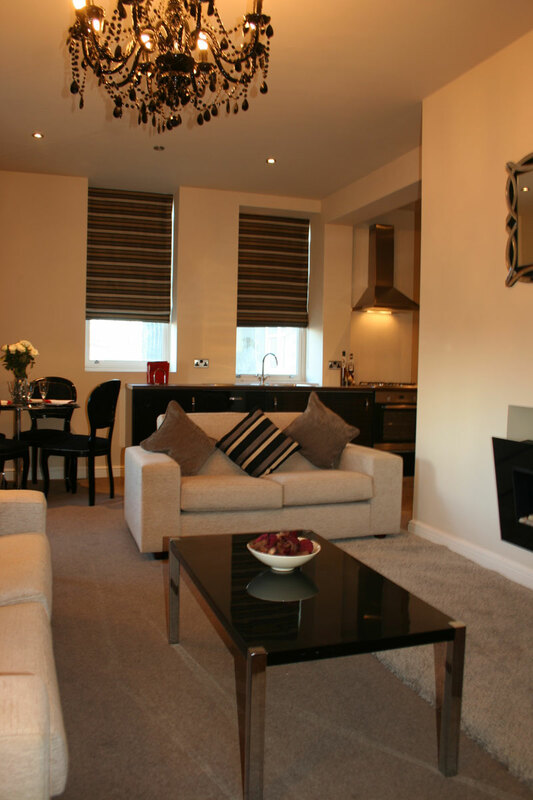 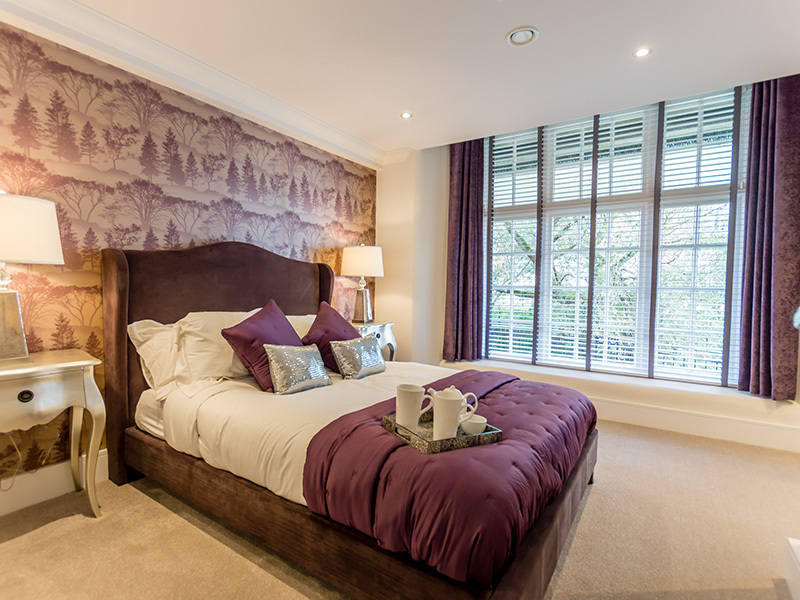 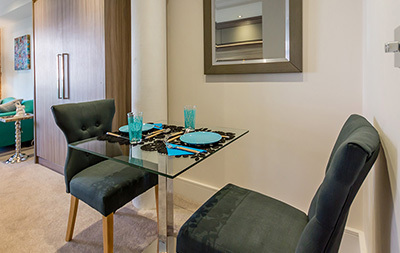 At Biba House we believe most of the occupants will be discerning home owners seeking comfort and modern luxury. 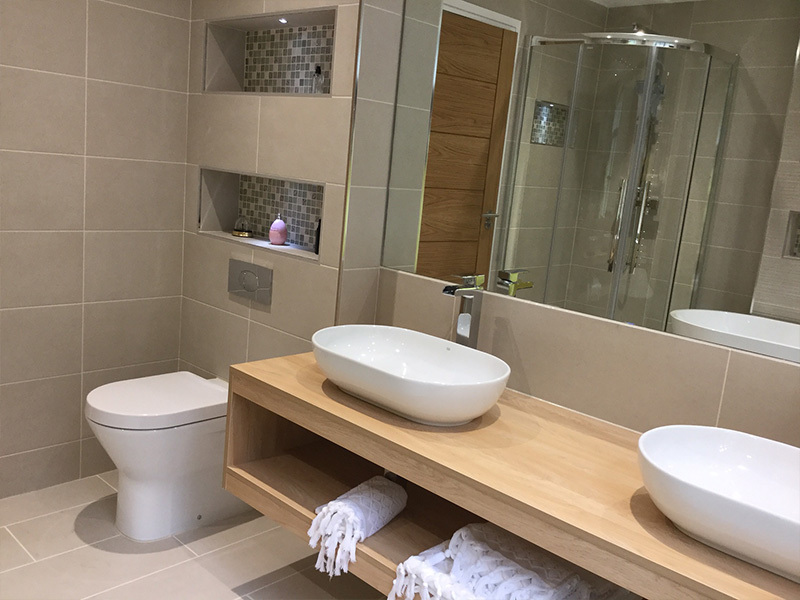 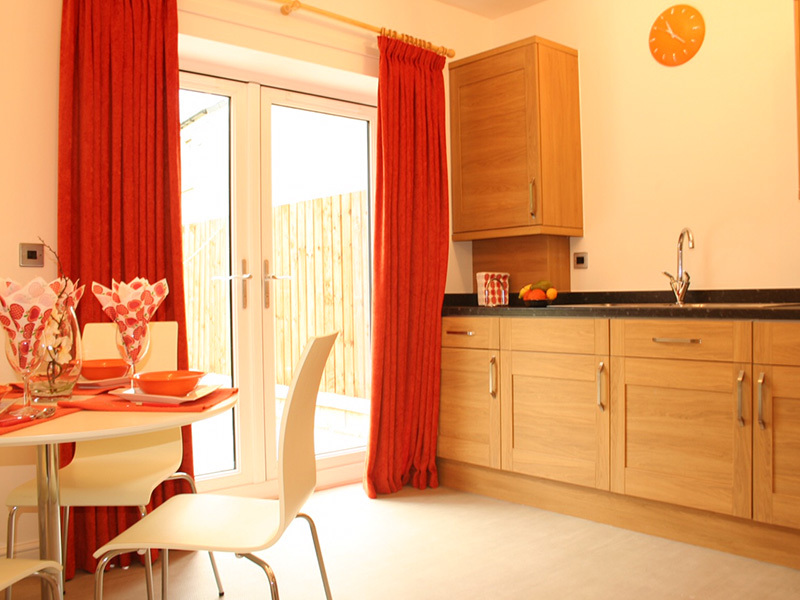 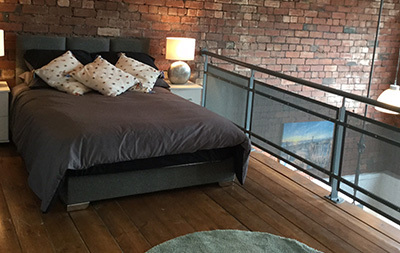 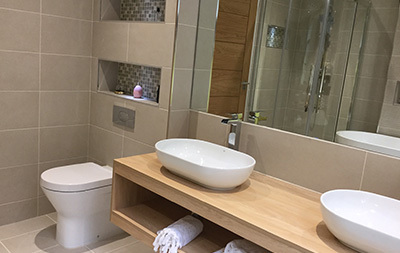 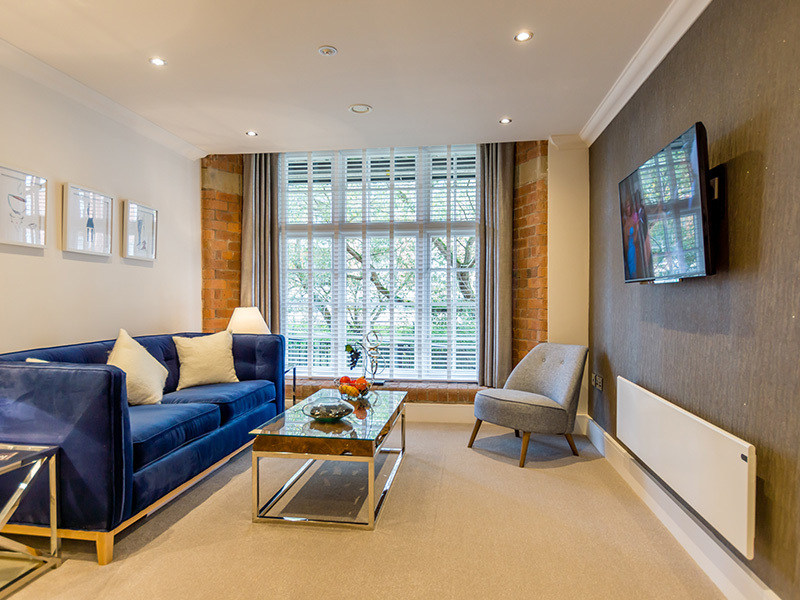 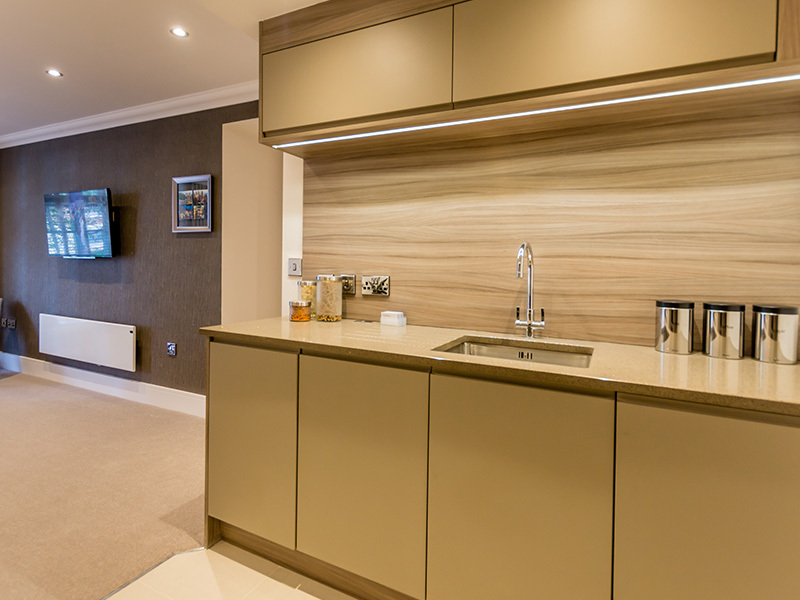 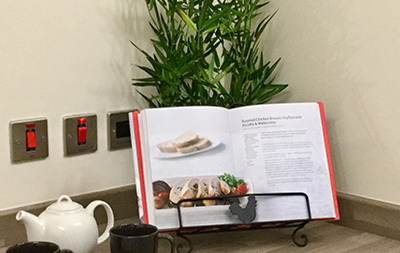 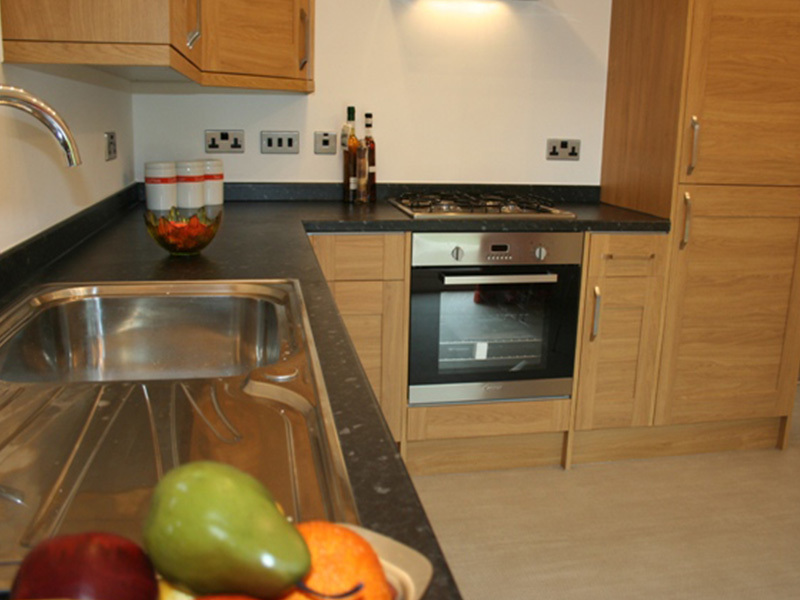 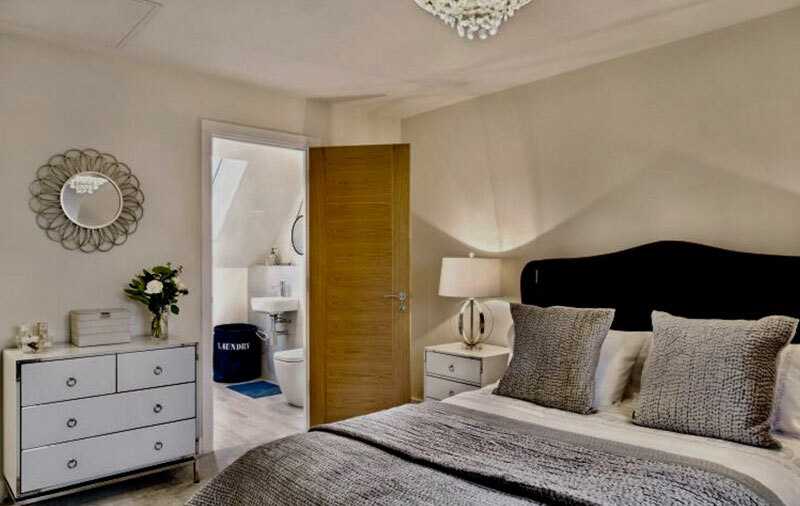 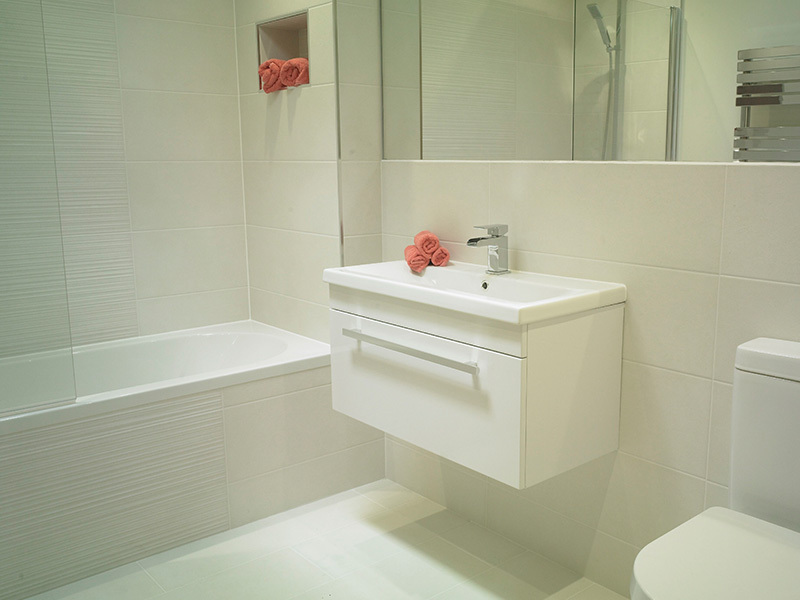 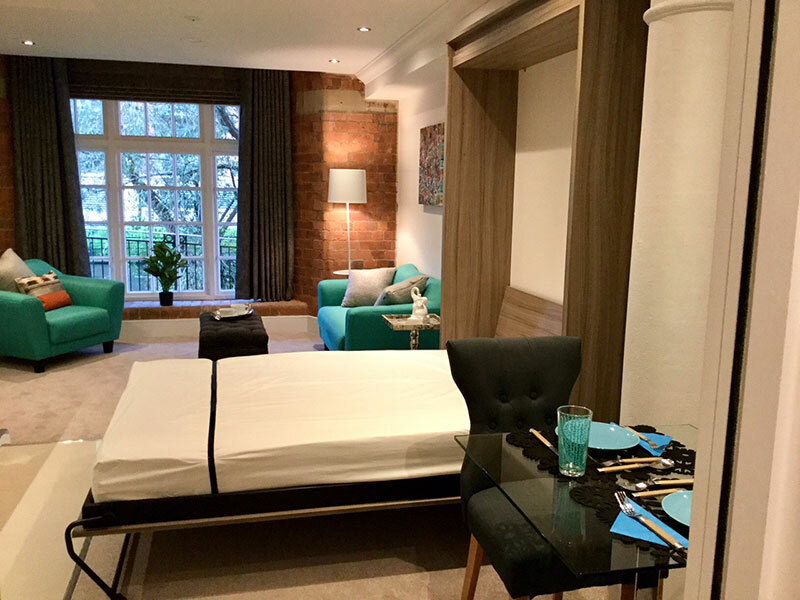 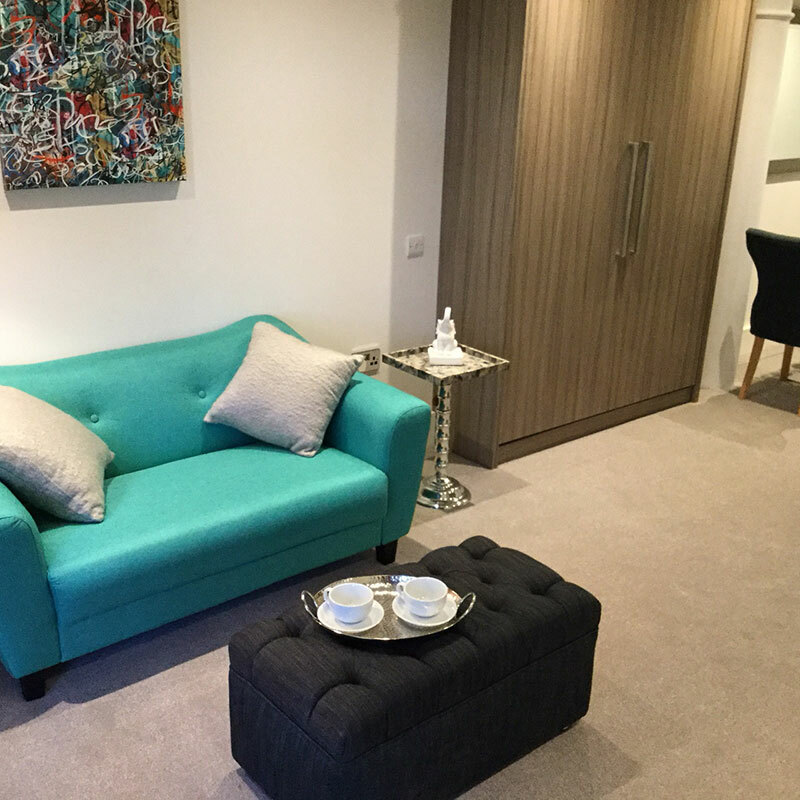 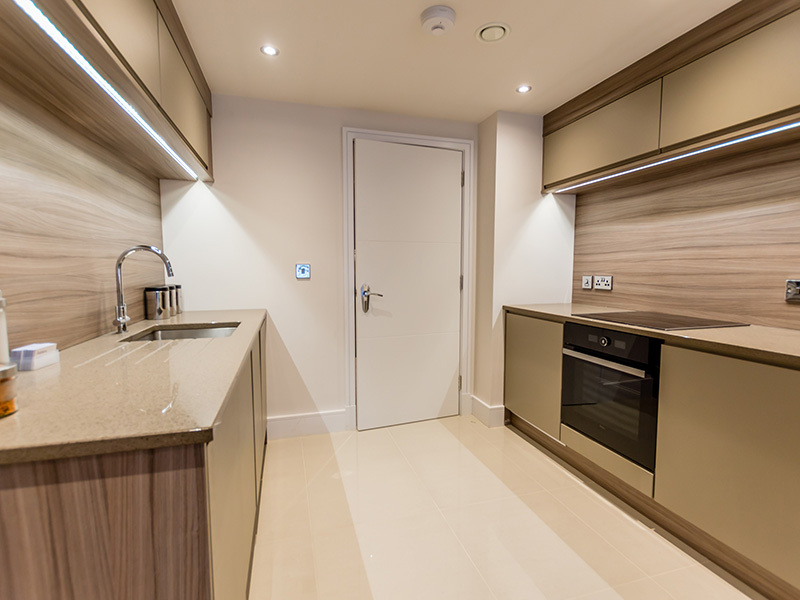 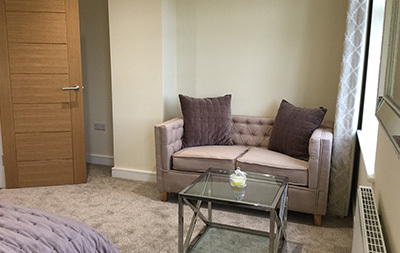 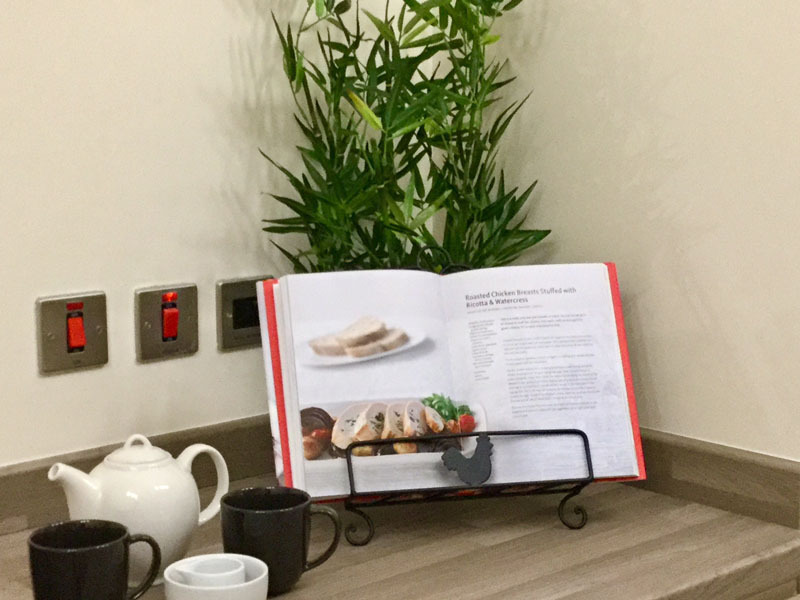 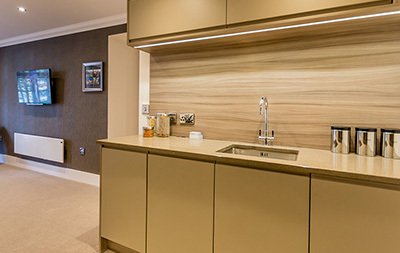 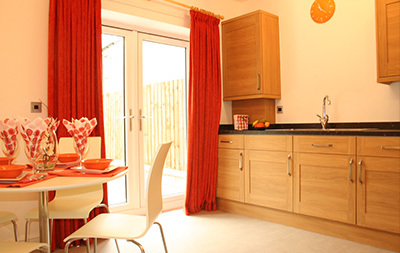 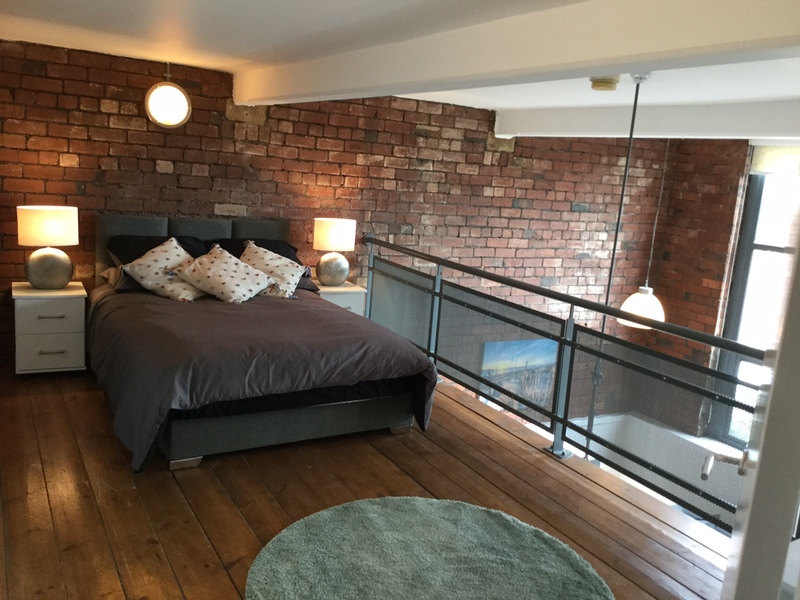 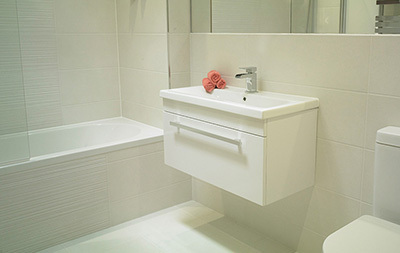 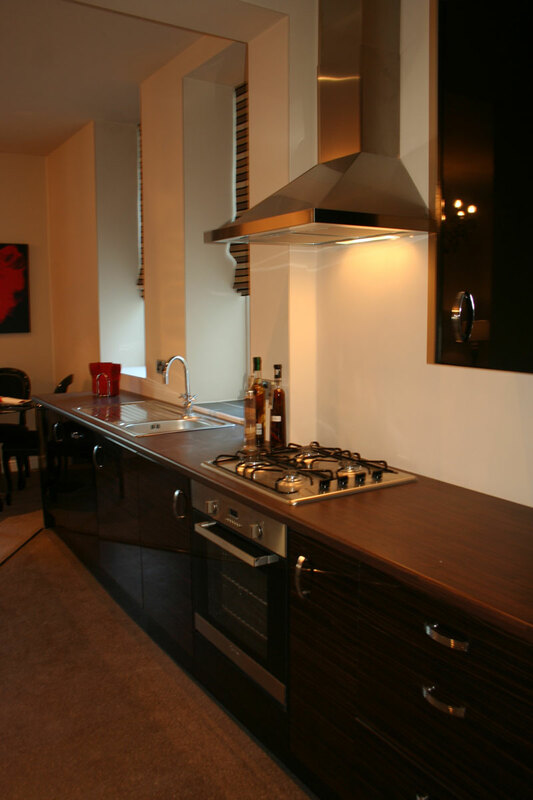 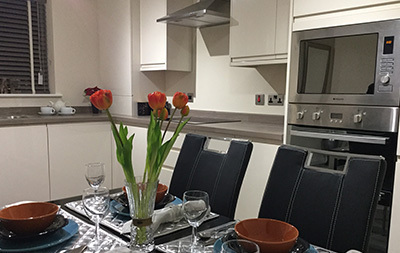 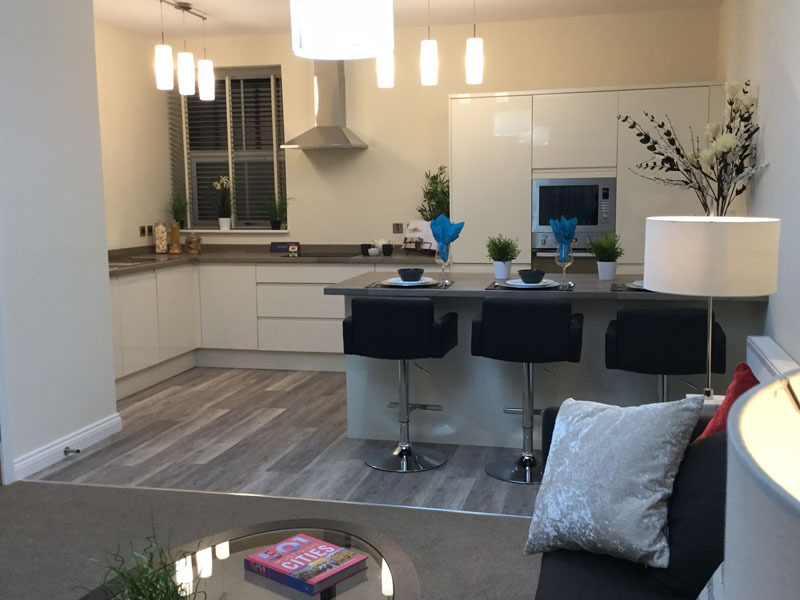 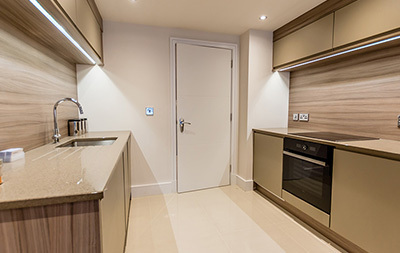 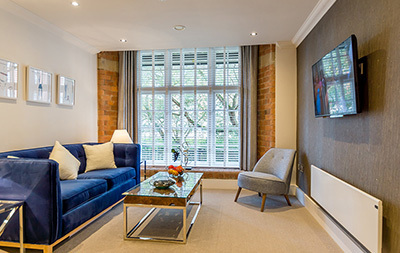 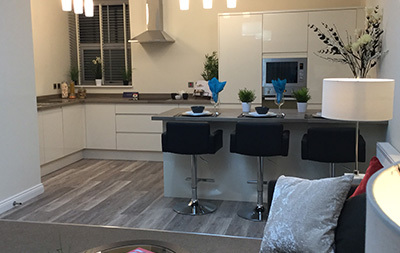 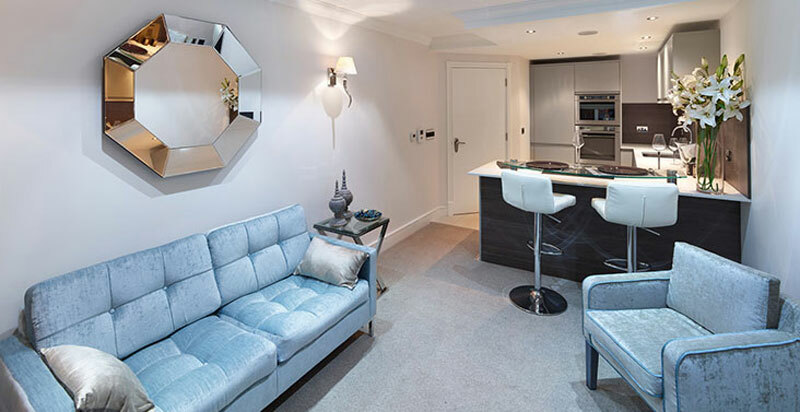 The specification of the apartments includes such things as tv’s in bathrooms, Underfloor heating, designer kitchens with lots of appliances including steam ovens and instant hot water taps, programmable lighting and built in speakers. 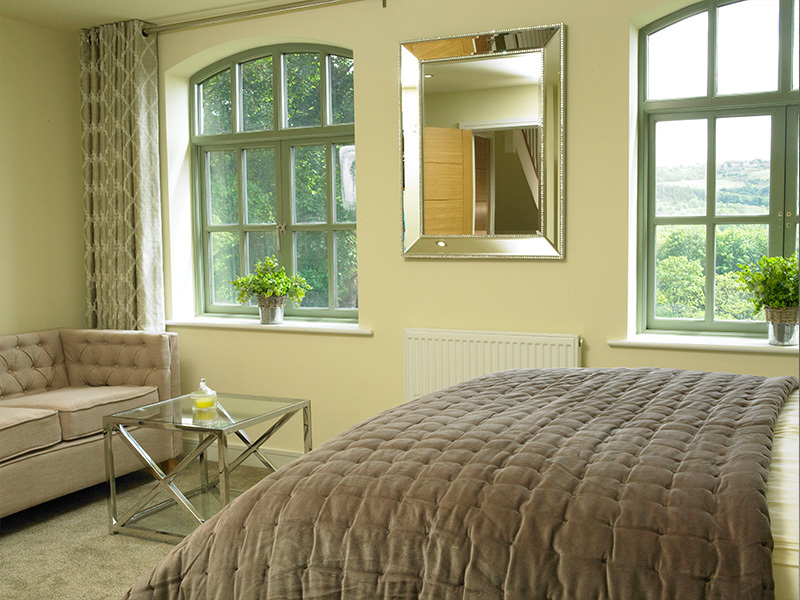 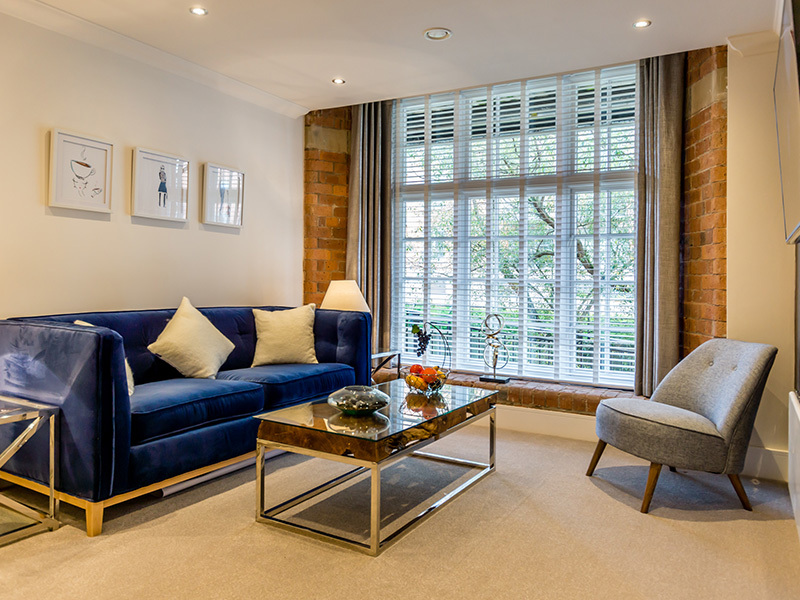 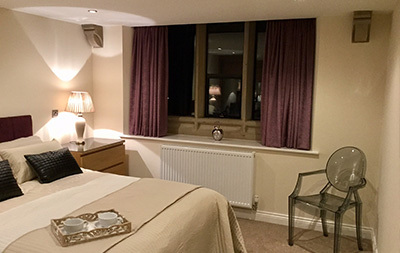 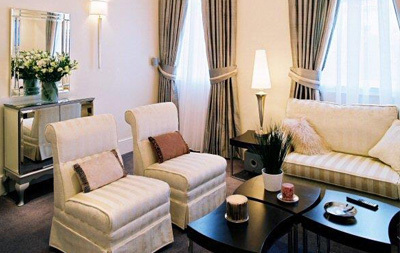 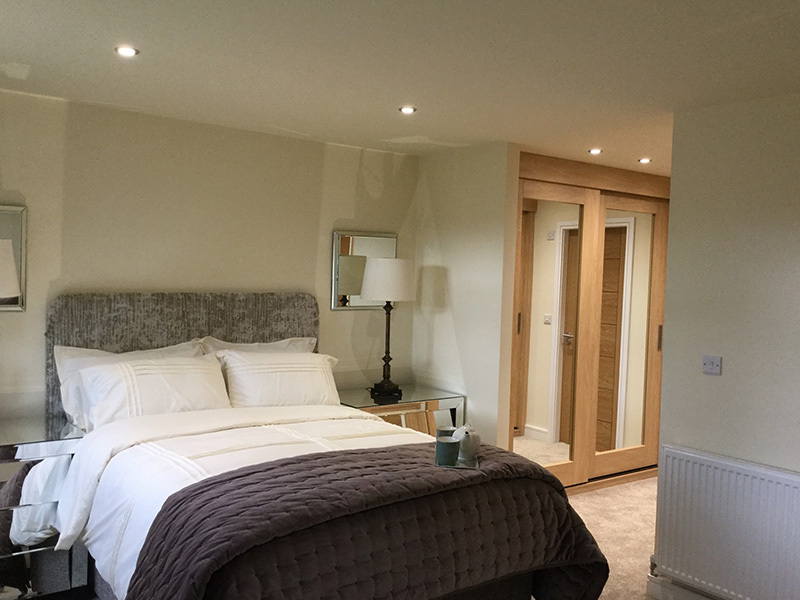 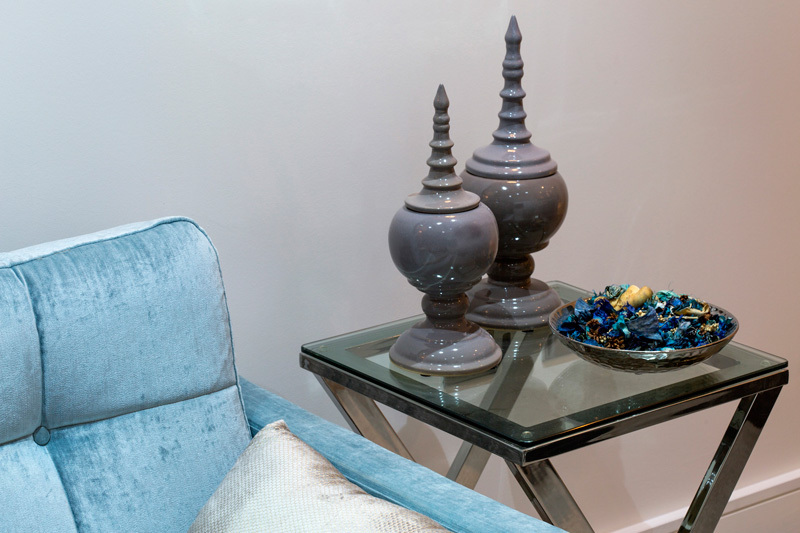 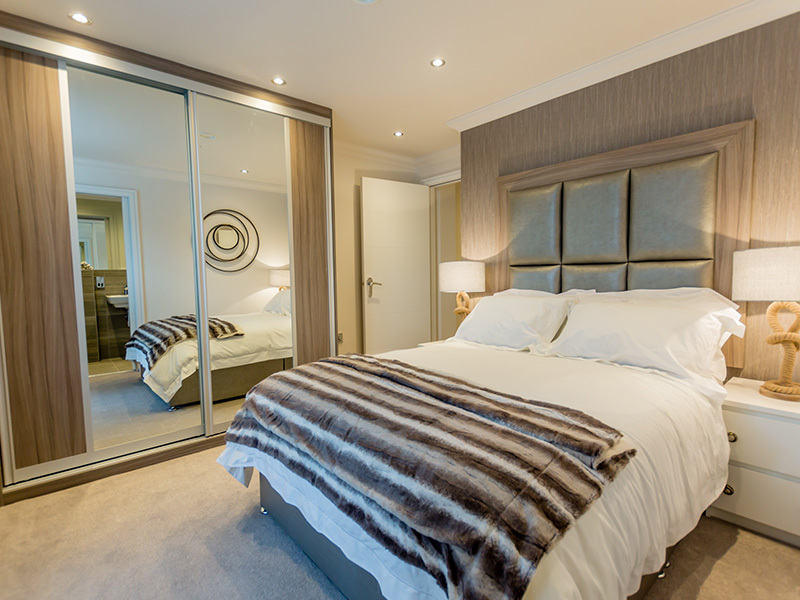 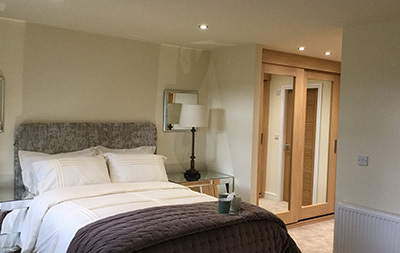 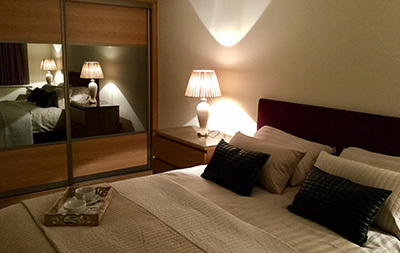 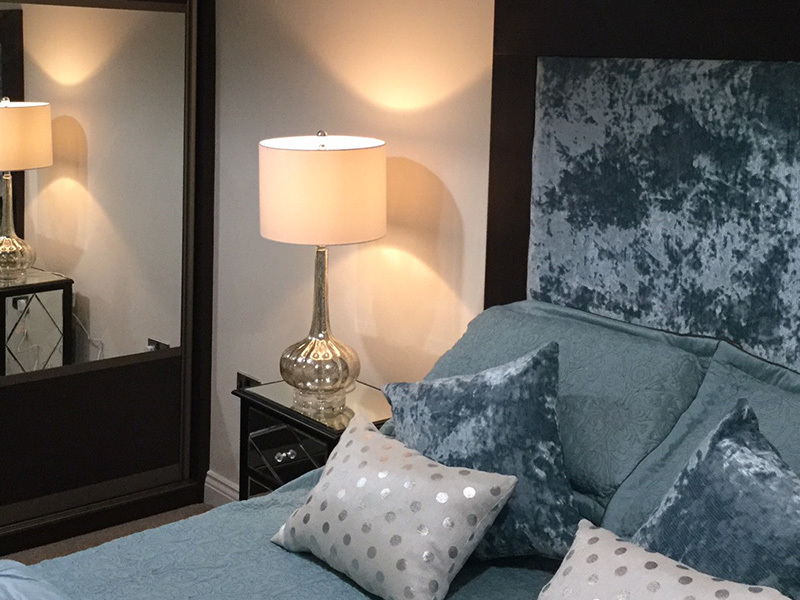 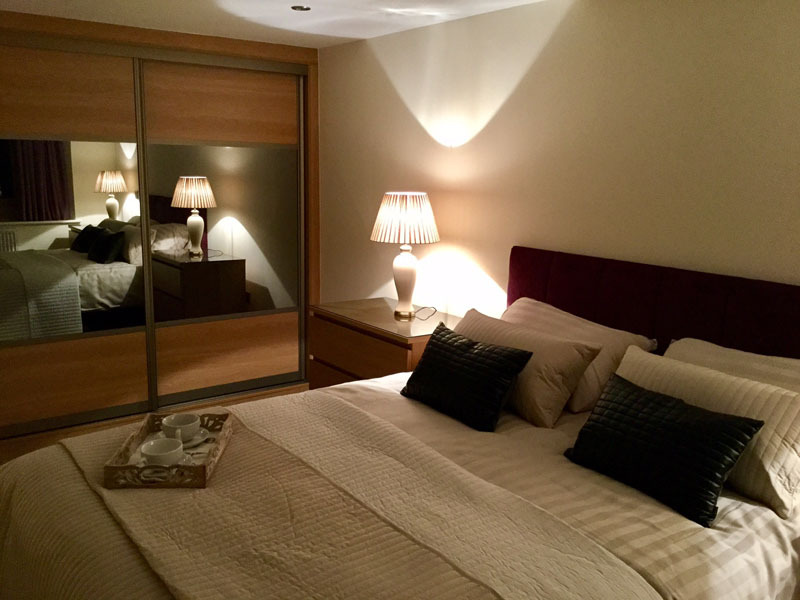 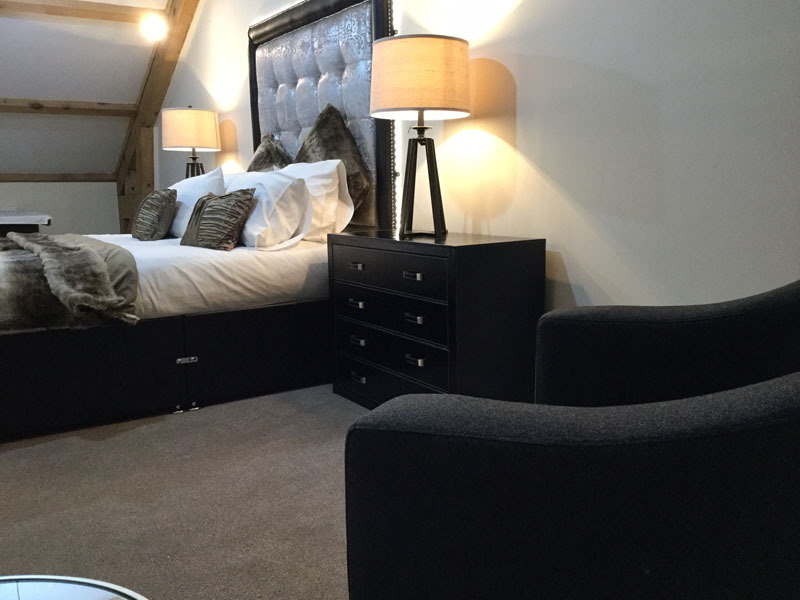 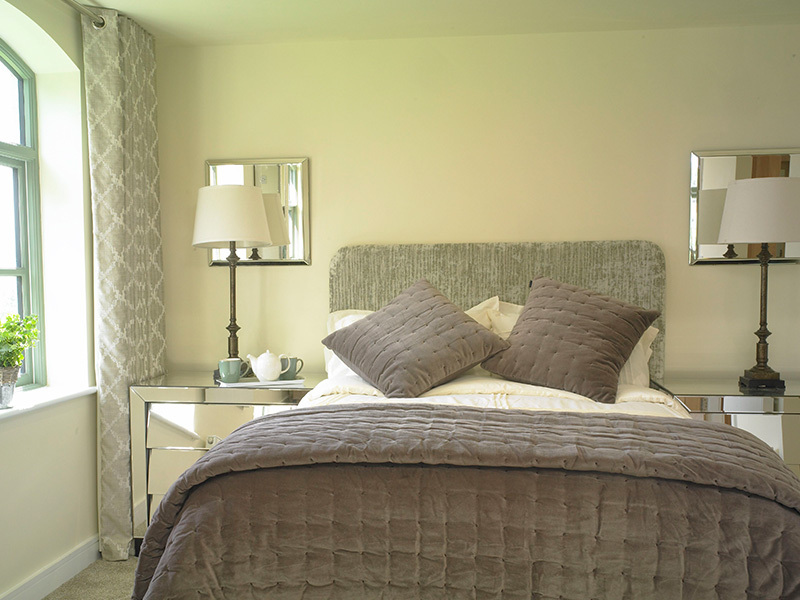 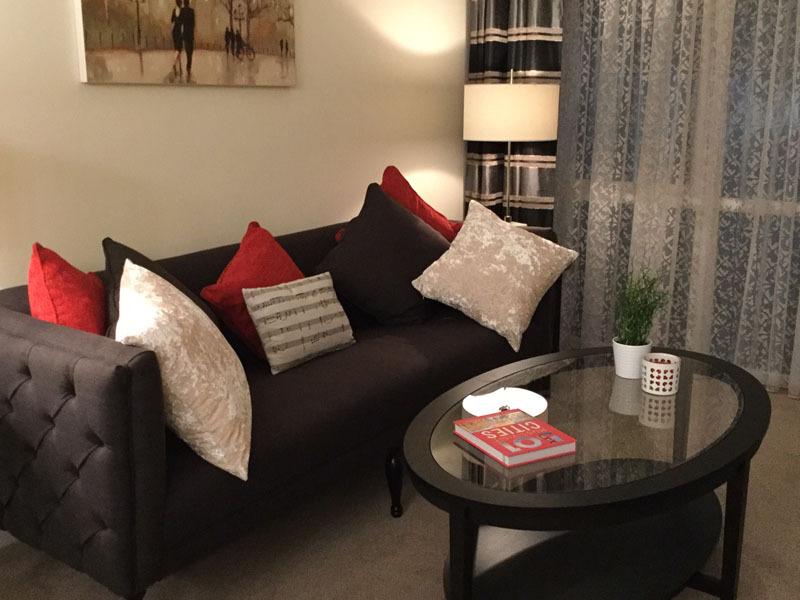 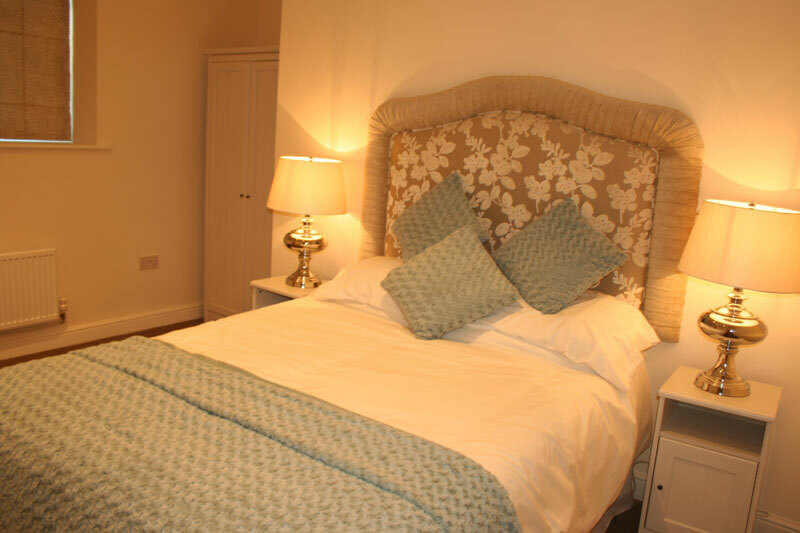 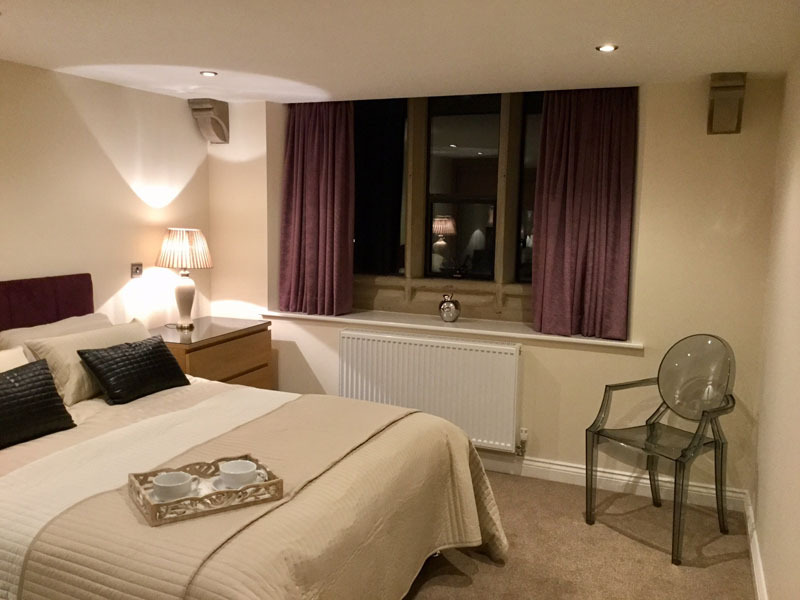 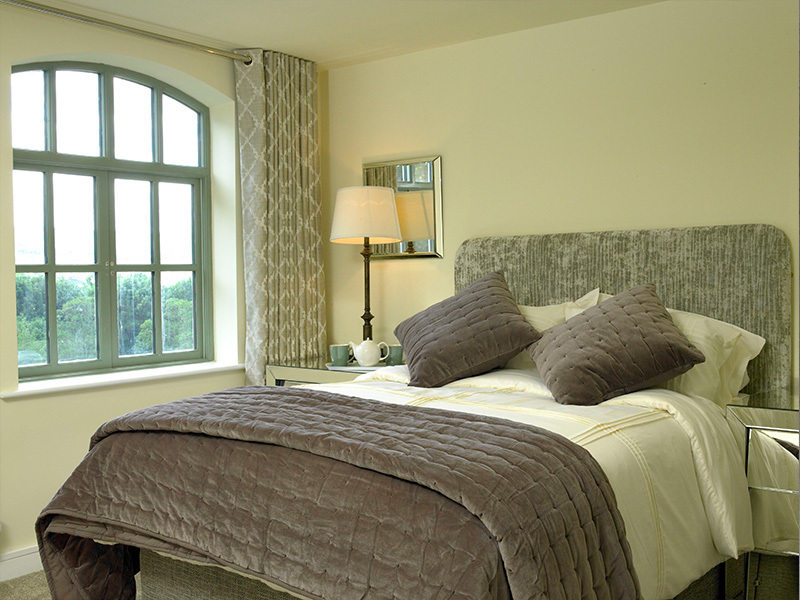 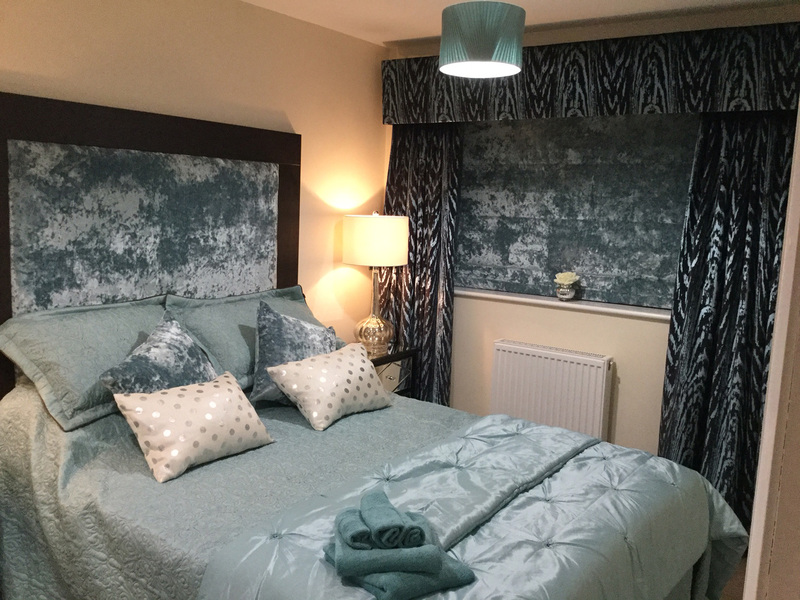 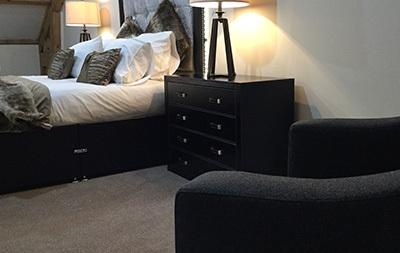 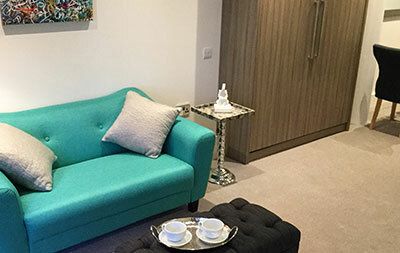 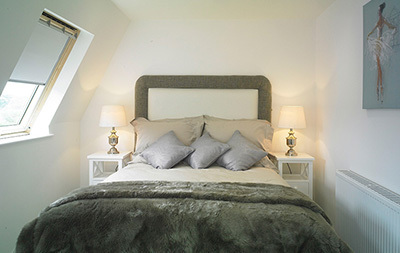 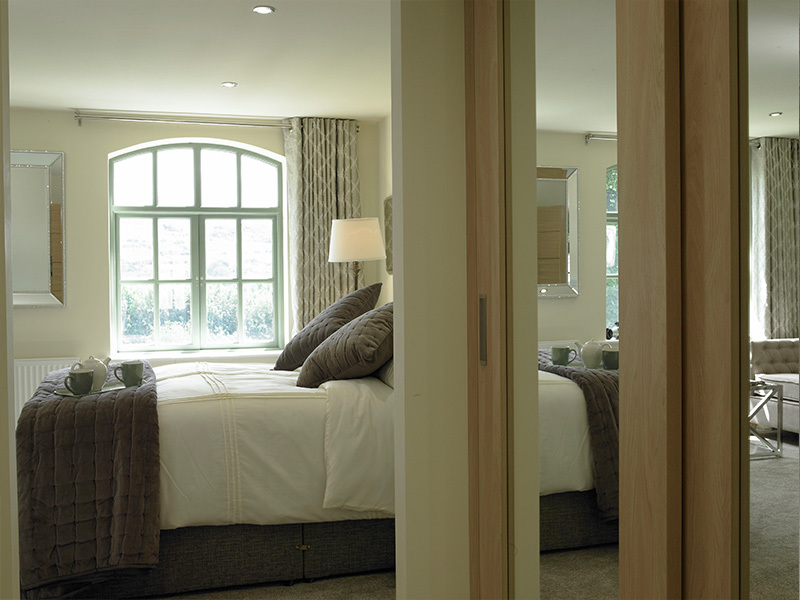 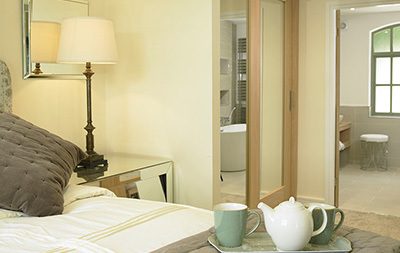 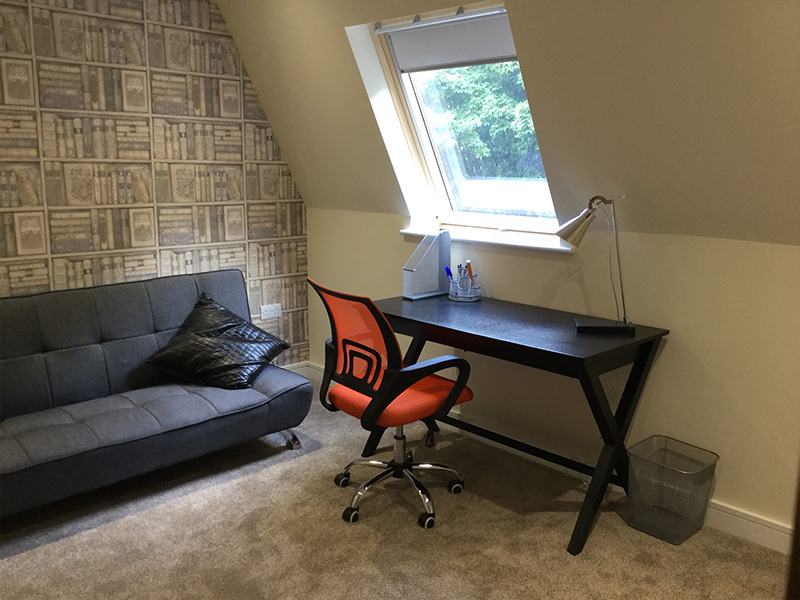 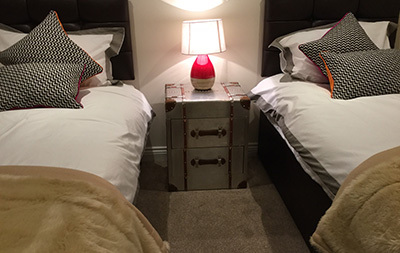 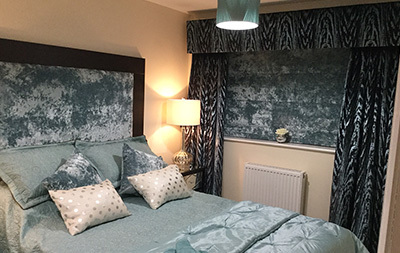 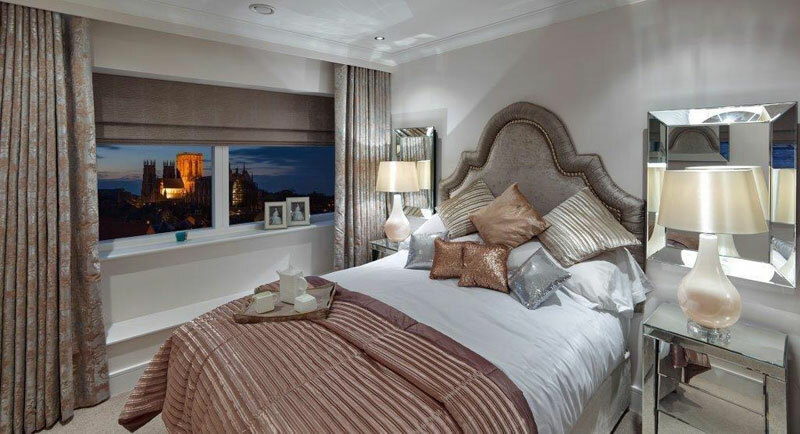 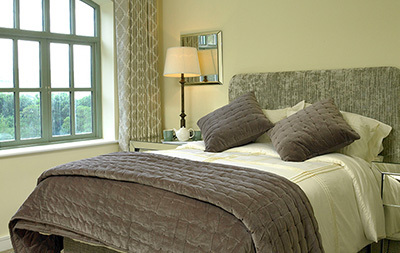 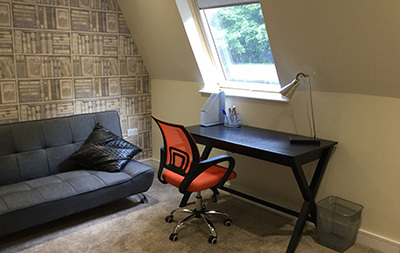 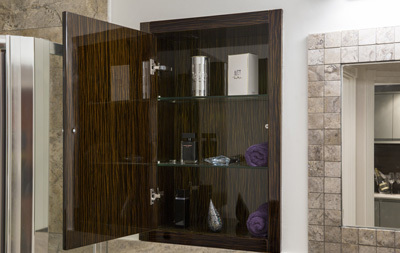 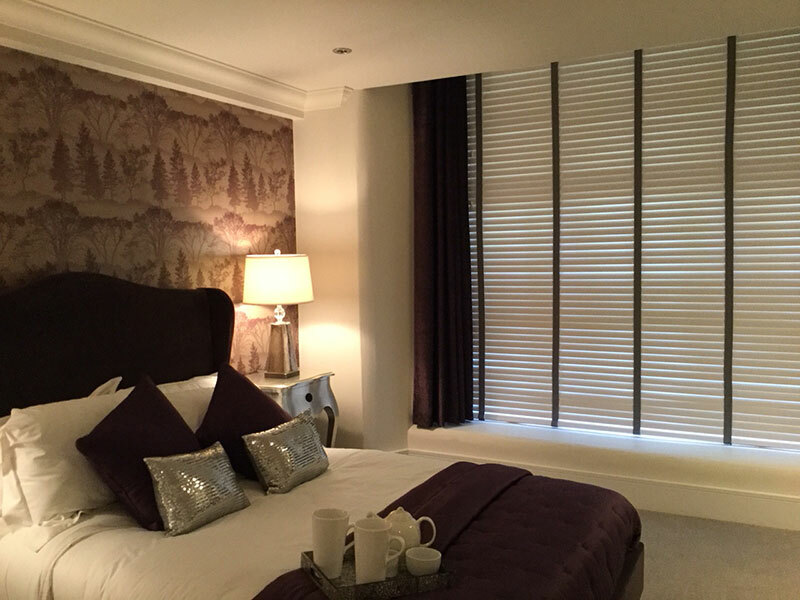 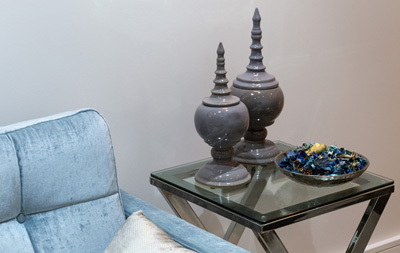 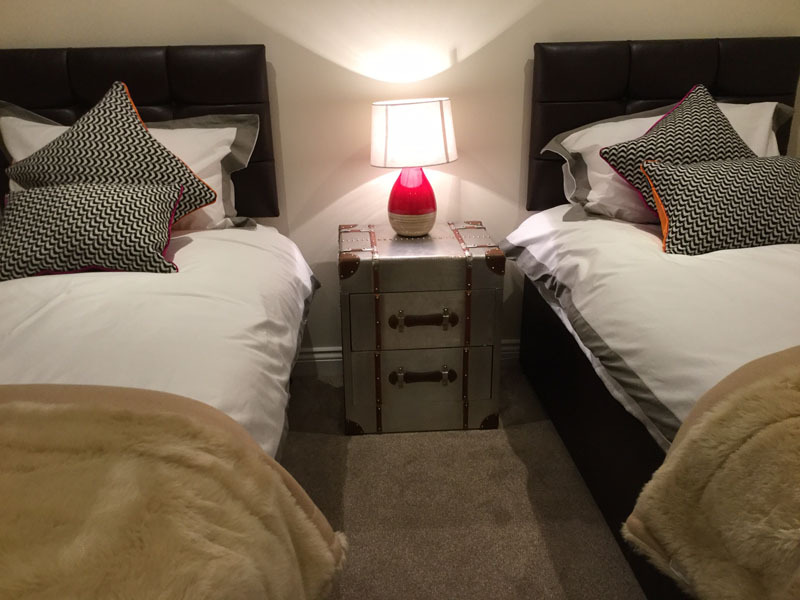 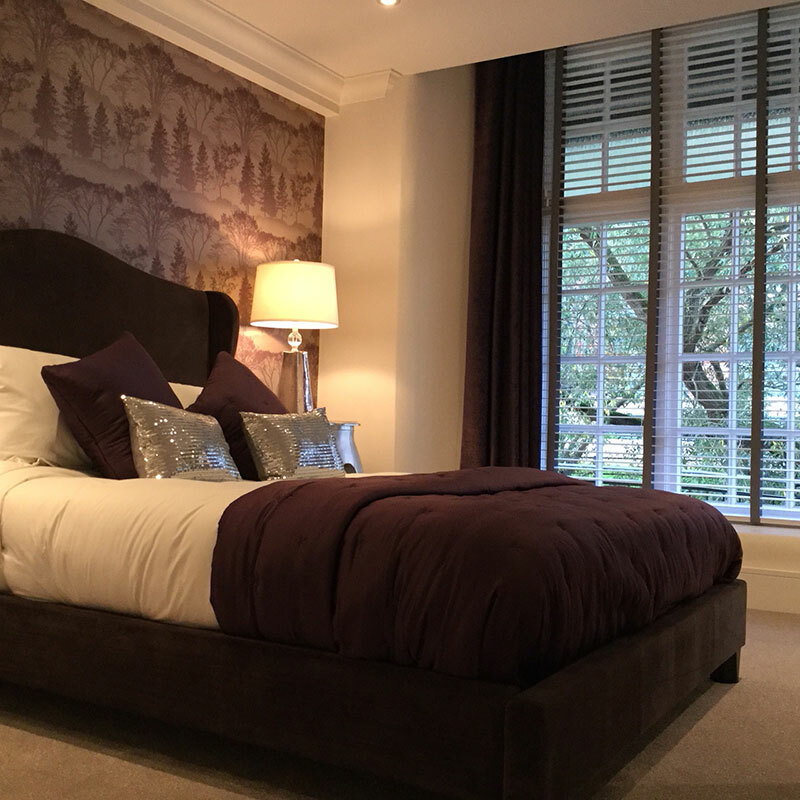 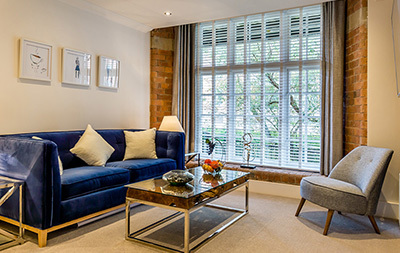 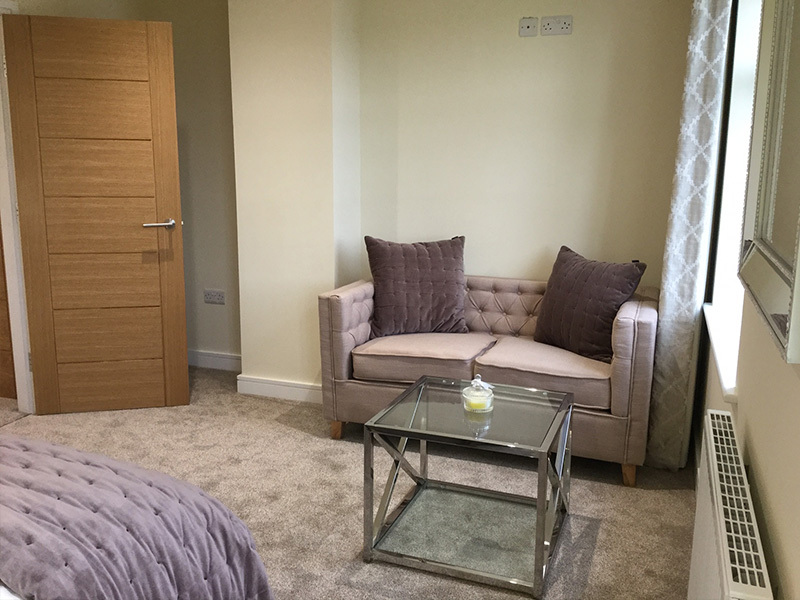 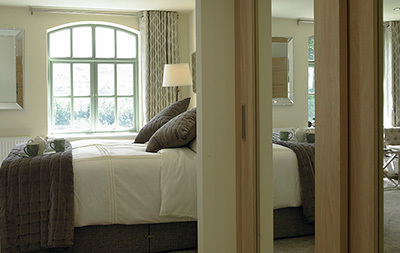 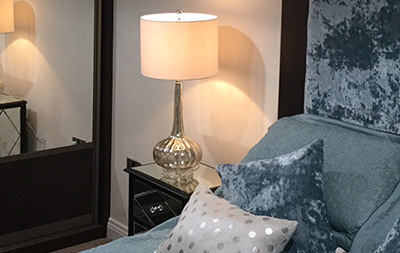 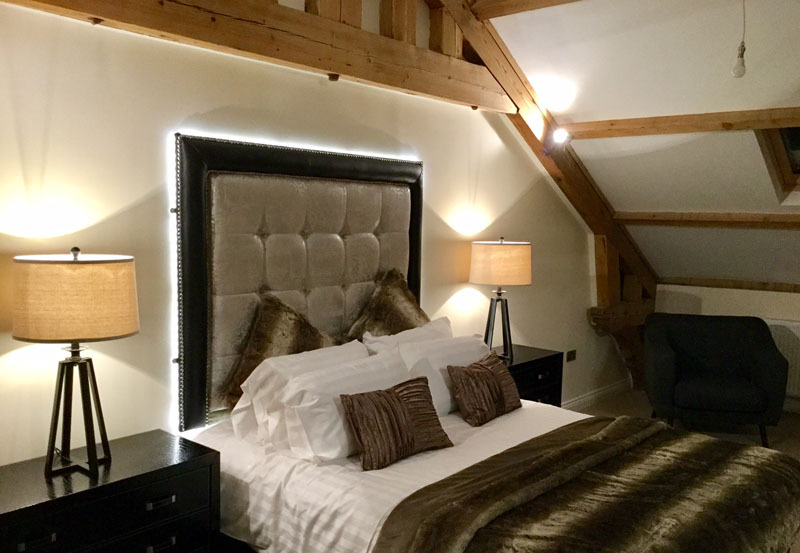 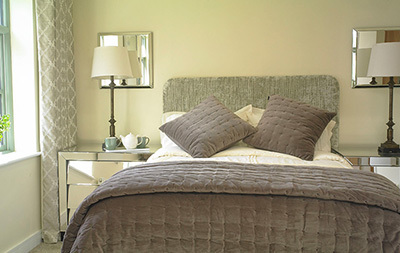 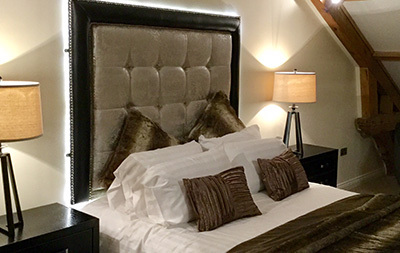 When furnishing the showhome I ensured there is good storage, comfortable seating and luxurious lined and interlined curtains as well as blinds and a well dressed bed and attractive accessories to add the homely feel.